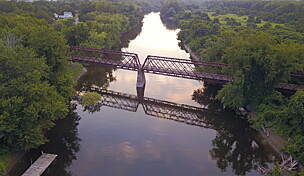 The Nashua River Rail Trail stretches from southern Nashua, New Hampshire, to downtown Ayer, Massachusetts, connecting to the towns of Pepperell and Groton. 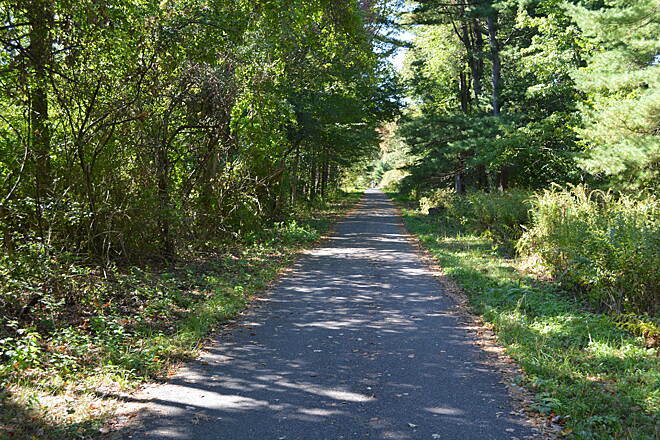 The trail is built on the former rail corridor of the Hollis Branch of the Boston and Maine Railroad. The last freight line to run on the rails was in 1982. Now, trail users of all ages and abilities can be seen along the rail-trail. Deciduous forests border most of the path, offering spectacular views of fall foliage and providing shaded travels in the spring and summer. 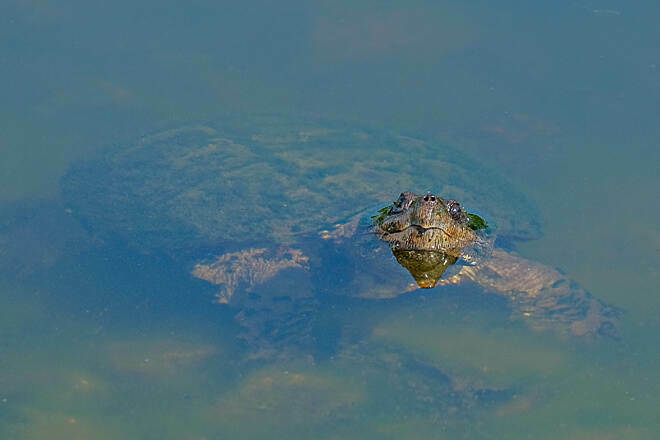 The pathway winds through several wetlands and waterways, with ample opportunities to take in the view and see turtles, birds, and other wildlife along the way. 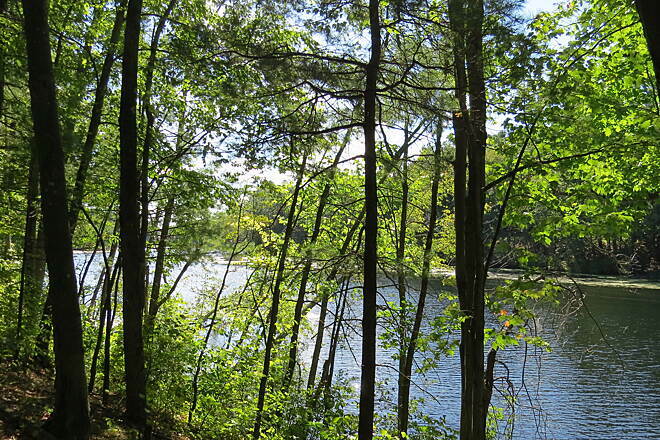 From the northern endpoint in Nashua, New Hampshire, the trail begins next to a small pond in a residential area and heads south into a forested area. In about a mile, you’ll reach the Massachusetts state line, followed by the town of Pepperell, Massachusetts, in another 3.2 miles. The trail opens up into a small trailside plaza in East Pepperell with a town clock, bike maintenance station, and signage celebrating town hero Colonel William Prescott, who is attributed with saying, “Do not fire until you see the whites of their eyes!” at the Battle of Bunker Hill. Several shops line Main Street across from the plaza. 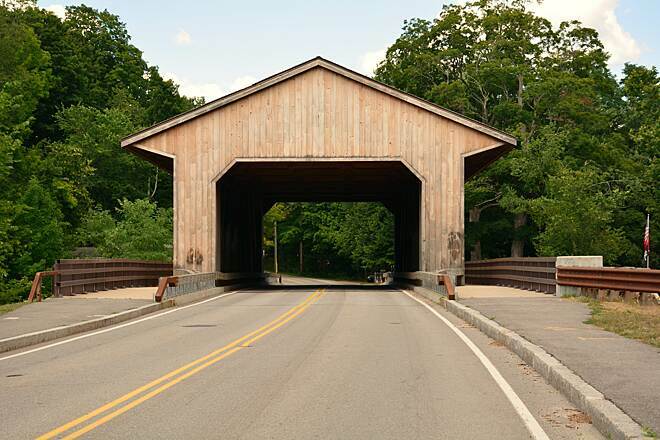 If you have time, head north on Groton Street to see the historical covered bridge that crosses the Nashua River. At a small park on the east bank of the river, you can learn about the exploits of Prudence Wright, considered to be the first American woman to hold—and receive pay for—a military title. The route continues past Pepperell Dam on the Nashua River. 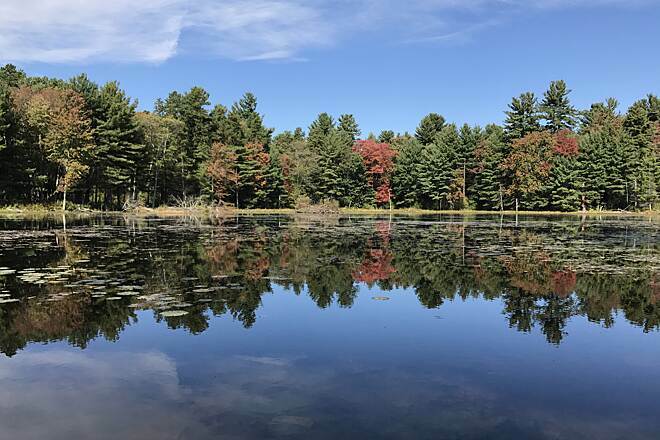 Pepperell Pond, behind the dam, is a well-known fishing spot for largemouth and smallmouth bass and often hosts fishing tournaments. 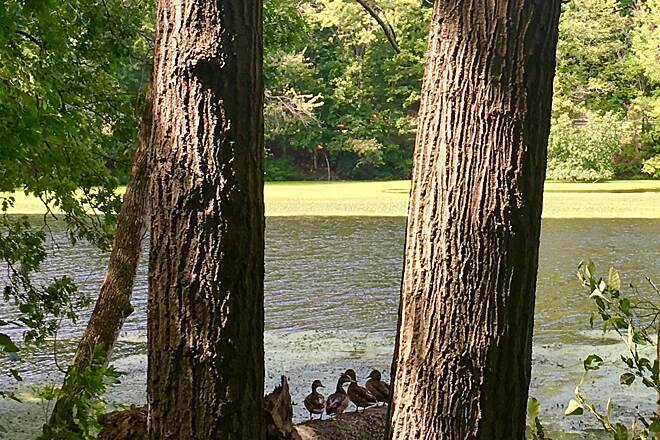 This portion of the trail borders the J. Harry Rich State Forest—a great place to explore on foot with several hiking and horseback riding trails and excellent river views. The forest can be accessed off Sand Hill/Nod Road near the trail parking area. Just over a mile later, a small railway bridge over Main Street brings you into Groton, Massachusetts. The landscape soon changes from forest to vast meadows. 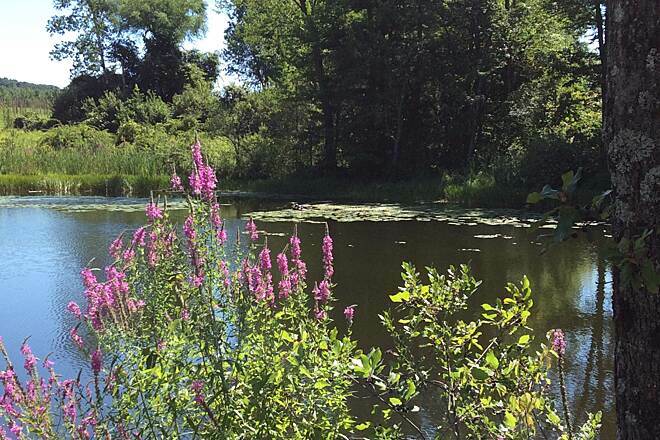 A mile farther, you’ll come upon Groton School Pond. This is a great resting spot, with rough-hewn granite benches and views of both forest and farmland. 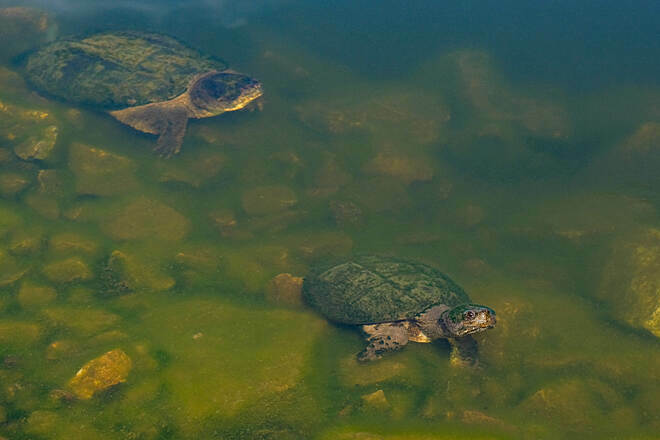 The pond is rich with fish, turtles, birds, and other wildlife. 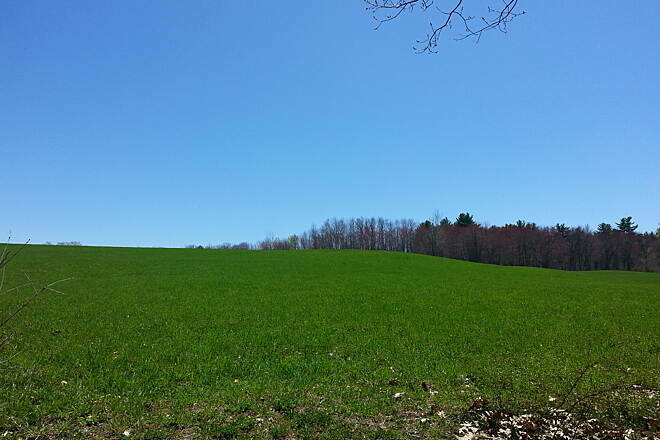 The mix of forest and meadow views continues into the town of Ayer, where the trail ends at Main Street. Visit the downtown area for a taste of its past as a major railway hub and Civil War army training camp. 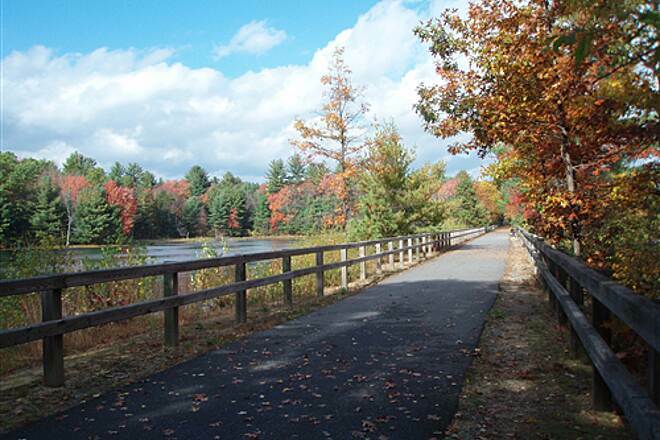 Other nearby trails surround the Nashua River Rail Trail, especially at the northern endpoint in Nashua, New Hampshire. 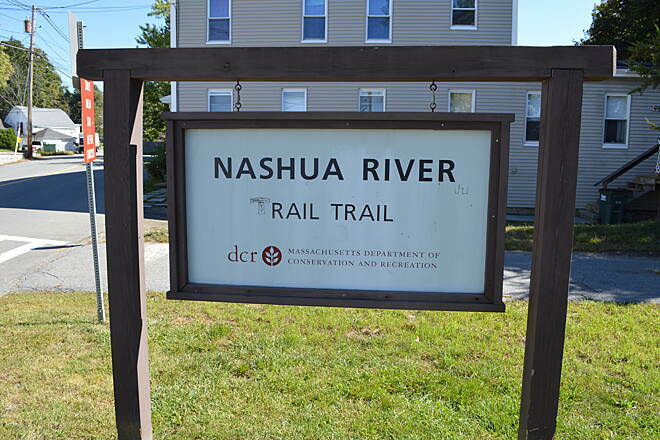 This endpoint is less than 5 miles south from the southern tip of the 6-mile Nashua Canal Trail (Mine Falls Park), as well as the southern endpoint of the 1.3-mile Nashua Heritage Rail-Trail. 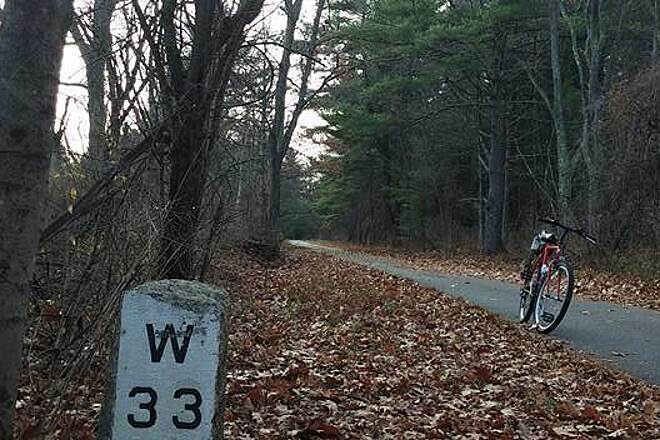 To reach the northern trailhead in Nashua, New Hampshire, from US 3, take Exit 5 for NH 111 W toward Pepperell, Massachusetts (about 14 miles north of Lowell, Massachusetts, and 15 miles south of Manchester, New Hampshire). Use the right two lanes to take Exit 5, merging onto NH 111 W/W. Hollis St. toward Pepperell, Massachusetts. Continue on W. Hollis St. 3.3 miles, then turn left onto Country Side Dr. The trail parking lot will be at the end of Country Side Dr.
To reach the trail access and parking area in East Pepperell, Massachusetts, from US 3, take Exit 35 to head west on MA 113 toward Dunstable, Massachusetts (about 21.5 miles south of Manchester, New Hampshire, and 7.5 miles north of Lowell, Massachusetts). Head west on Kendall Road/MA 113 W. Continue on MA 113 W 2.4 miles, then turn left to stay on MA 113 W. Stay on MA 113 W another 5 miles, then turn right onto Groton St. In a few hundred feet, make a left onto Main St. Parking is immediately to the left. 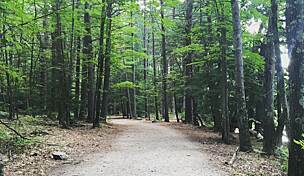 To reach the trail access and parking area at Sand Hill Road in Groton, Massachusetts (near the J. Harry Rich State Forest), from I-495, take Exit 31 for MA 119 toward Groton/Acton. Merge onto MA 119 W/Great Road toward Groton (right from I-495 N, left from I-495 S). Continue 7 miles, then turn right onto Hollis St. In 0.5 mile, turn left onto Common St. In 1 mile, turn right onto Sand Hill Road. In 0.25 mile, the parking lot will be on your right. To reach the southern trailhead in Ayer, Massachusetts, from I-495, take Exit 29B for MA 2/George W. Stanton Hwy. toward Leominster. Head west on MA 2, and in 4.1 miles, take Exit 38B and merge right onto MA 110/MA 111 toward Ayer/Groton. After about 2 miles, you’ll come to a traffic circle. Take the third exit onto Harvard Road. Keep right to merge onto Main St. In just over 1 mile, turn right onto Park St. In 0.15 mile turn right onto Groton St., where the parking area will be immediately on your right. Great for Biking and Running! I live near one of the main stopping points for this Rail Trail. It's gorgeous in any and every season. I noticed a lot of people saying there isn't a stopping point from Ayer until you get to Pepperell - don't forget about Groton! If you stop near the bus depot and go up the road, there is a health food place with some GREAT smoothies as well as a Dunkin' Donuts and a convenience store. From Pepperell to Nashua, there aren't any major stops, but there is a vending machine with a few chairs if you bring a couple dollar bills! 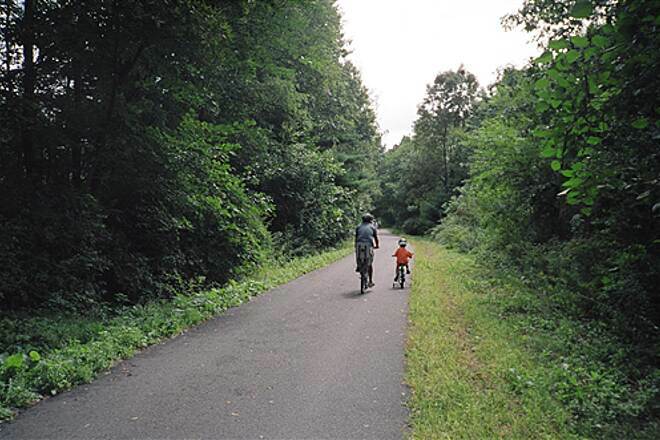 Overall, this is a great, family-friendly, small town Rail Trail. It cuts through some of New England's best small towns (in my entirely biased opinion) and both terminal points are worth a little look around (though Ayer might be more accessible, especially with kids!). Loved this trail! Clean, scenic, and well marked. 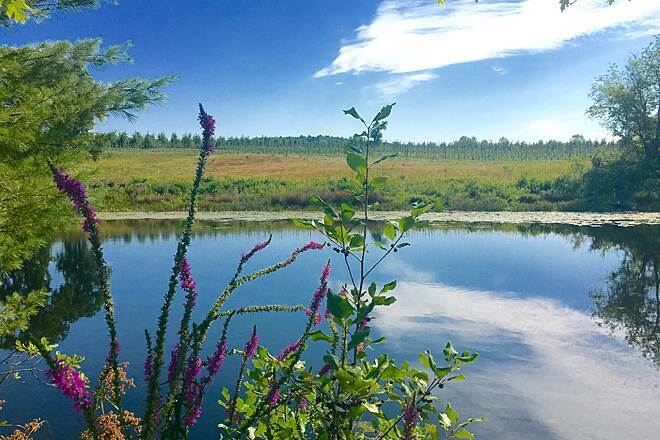 It starts out in the quaint town of Ayers and continues to take you through beautiful scenery of marshes, wildlife and what appeared to be a vineyard. We loved how the quaint towns have signs showing local attractions, restaurants and other businesses. We even veered off the path 1/4 of a mile to see the covered bridge in Pepperell, Ma. This is a great trail to get a few miles in on a bike. The trail is flat and well maintained. There are plenty of pretty spots along the way for taking breaks. Great trail. It's a solid distance with few stop signs. It does need maintenance in some parts as tree roots are making it bumpy but other than that it's solid. We use tour bikes. As of summer 2017 'very few' tree roots. It was mostly smooth the whole way! Well paved. Could really make great time on this trail! Good for work out. Super straight trail. Very few spots are bumpy but most were marked. Some pretty views near the river. We missed the covered bridge near Pepperill. I used to really enjoy the trail starting in Nashua but lately it has gotten pretty bad with a ton of tree roots trying to push through the pavement. Used to be just a few now too many to give the trail a higher rating. In addition to it being uncomfortable and potentially dangerous, I am worried my bike will get ruined-some of the cracks are very bad. Is there any effort going on to repave parts of it? It's a beautiful trail otherwise. 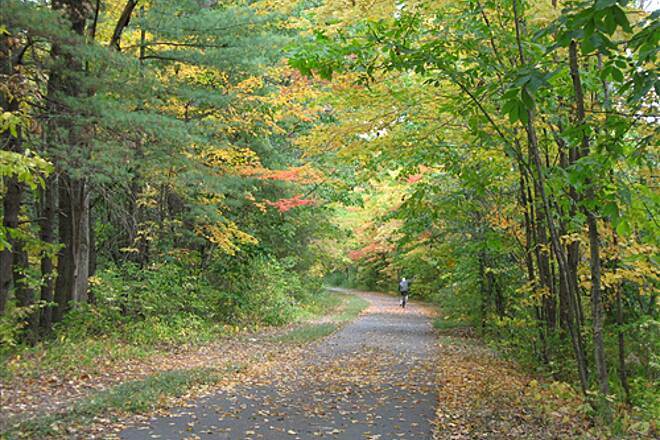 My wife and I used to love this trail, driving from Concord to Nashua a couple of times a year to ride it to Ayer. With its tree canopy, it's most enjoyable on a hot day. But all those trees come with a down side. Yesterday's ride (7/4/17) was less than satisfactory. Several sections have severe tree root ridges across the entire trail, making them impossible to avoid. Those sections are in serious need of resurfacing or other maintenance. Got to the trail before 8:00 am on Independence Day and had a wonderful ride up to Nashua and back for about 25 total miles. Yes there are a few frost heaves and some roots snaking through the trail at times, but it is a minor inconvenience for an otherwise WONDERUL rail trail. Long open stretches without crossings and beautiful scenery along the path. Much of it is shaded which is good for sunny hot days. The holiday traffic on the trail was picking up for the second half of the ride back to Ayer. As always, probably a good idea to get there early. Trailhead not so visible from the road as described. Generous parking on Groton St in Ayer but no restrooms just portable latrines. If you are traveling a distance, there is no place to change. This trail has fallen on hard times, the surface has plenty of sink holes and mounds. Especially an abundance of root ridges. About 2 miles from the north end the trail has so many root ridges that if you ride at speed they will rip the handle bars out of your hands. there are several places where the roots will give you a pinch flat and bend your rim. Rail trails are made sub standard to roads, the reason given... rail trails dont see the heavy traffic a road does. Ive seen ambulances, fire truck, police cruisers and construction equipment on rail trails. With a sub standard base roots can wreak havoc on trails. All asphalt, straight, few changes in elevation, few road crossings, shaded almost entirely, long length, generous parking (free) make this arguably the best bike trail in Massachusetts and maybe New England.Yes, a few root heaves (welcome to reality), but generally well maintained.If you live near this trail, you are lucky to have access to this resource. Rode on a cloudy Saturday, midday. What's great about this trail: pavement end-to-end is in very good shape overall, with only 7 small local streets to cross (at well-marked intersections and respectful vehicle traffic), so this is perhaps the longest trail in the Eastern part of MA if you want to avoid vehicle traffic; surprisingly not crowded on a Saturday; a couple spots with nice scenery (small pond with uninspiring view of Nashoba Valley vineyard, duckweed choked Nashua river and Pepperell dam and vintage storefronts); tree canopy most of the way to protect from sun and (when we rode) a light rain shower; and pretty flat the entire way, if you like that. What's not so great about this trail: mostly riding through woods and occasional backyards, so not particularly interesting visually; the path is very straight and flat the whole way so, again, not very interesting; and with all the tree cover, I expect this might be a bit of a mess when leaves start falling. The four stars is principally attributable to the length of the trail and its overall condition. We rode this trail today and for the most part it was OK except kind-of bumpy in spots due to tree roots growing underneath that had cracked the pavement. It could have also been due to frost heaves. The trail needs some upgrades. 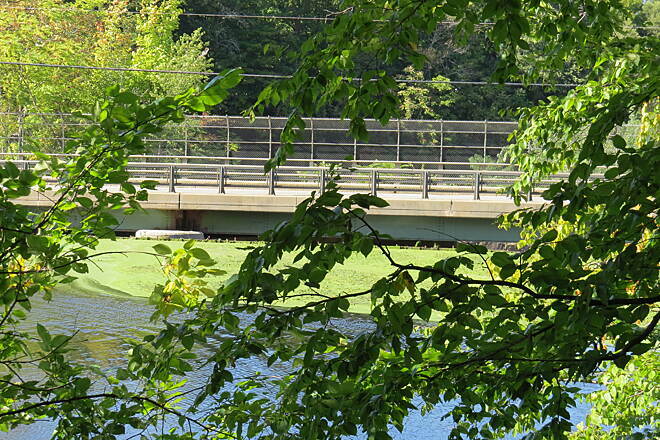 Also, the Nashua River in Pepperell stunk due to algae. We did this trail with adults and children. Overall, the trail was great, some spots with bumps and holes that are marked but nothing more than any other rail trails in the area. We did 8 miles round trip leaving Ayer and turning around after ice cream in Pepperell. Mostly flat, straight and shady. We saw the beaver lodge. Things did get a little smelly where the water became stagnant at the dam in Pepperell. Parking seems plentiful on a Saturday (no commuters in Ayer) and there are other decent sized lots along the way as alternates if the Ayer lot is full. Unlike other rail trails closer to Boston, there isn't any small convenience store or Trader Joe's once you leave Ayer until you get to Pepperell. So, make sure you have enough water and have used the Porta-Johns. We saw a few men at different parts of the trail relieving themselves behind trees. I really wish they'd fix the frost heaves. They seriously detract from the ride. As it is, this trail is best done on foot or a mountain bike, slowly. I had been planning this ride for a while. Given the rave reviews I was full of anticipation. Beautiful day to ride I was stoked; until I hit my first pot hole and I haven't gone a mile. This is a beautiful scenic trail but currently not road bike friendly. Way too many holes and wripples that will jar your back teeth. An attempt has been made to circle, with white paint, many of these damaging front fork land mines. The wripples have also been highlighted but they are still many surprises. If you ride a road bike take it slow enjoy the scenery and outdoors; mountain bike or regular rider with fatty tires recommended. I spoke with two inline skaters and they had the same complaint bait they knew where the flat stretches were. Hiking would be best. As a rider I rate this one star. I have ridden a lot of local trails Nashua River is by far the worse path maintenance for cycling. This trail is so peaceful and beautiful. I wish I could do it every day. I prefer the sound of the birds and the wind than listening to music. People are very polite and it is very clean. I would recommend it to everyone that has a goal in mind while having fun. Had my first experience on the Nashua River Rail Trail last Saturday (7/30/16). Arrived at about 12:30pm and was lucky to get what I think was the last parking spot. I ride a hybrid bike, but saw other folks on road bikes, rollerblades, walkers and the most recumbent bike users I've ever seen. I guess that makes sense, given the long straight sections of this trail. Trail itself was well maintained, with a just a few frost heaves that were well marked with spray paint. The trail passes by a few farms, wetlands and a large lake. Other than that, really not a lot of scenery. A great trail ! One of my favorites so far. Very scenic , shady and it even has a rest stop with a vending machine in dunstable . I enjoyed my excursion more than words can describe. Trails do not get any better than this ! It is flat , smooth and scenic. 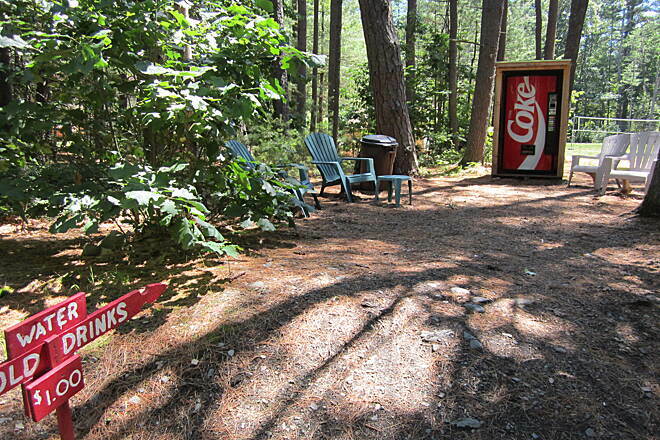 It even has a rest stop on the Nashua end that a coke machine. Highly recommended. My wife doesn't like to ride on the street, so I thought we would try this rail trail. We got to the Ayer trail head about 11AM on a recent Sunday...only about 3 or 4 spaces left. Not clear if we'd get towed at the Santander Bank. There are other spots to enter, like in Groton or Pepperell. Fairly even trail, although my wife was tiring on the return. Yes, there are some bumps, but they're well marked. At about the 10-11 mile mark (northbound) an enterprising person has a Coke machine set up trailside. Unfortunately, there's no signage so you're past it before you realize it's there and legit (I think, we didn't stop). We'll definitely be back, as it's only 30 mins from our house. Should be really nice (and more crowded) in the fall. On a recent trip to the Nashua River Rail Trail, we started in Ayer and rode our bikes for 30 minutes north and then turned around for a full hour / 13 miles of biking. There were only 2 small stop sign intersections along the route; otherwise, it was a smooth, beautiful, and uninterrupted ride. We didn't see any beavers, but we did see a well constructed am! Stunning views & a great lunch. Absolutely beautiful trail. Lots of water views, green fields, several tunnels and bridges, wildlife and a very flat/smooth ride. I rode this w/my 9 y/o son w/o any issues. Steady amount of traffic; bikers, bladers and walkers (although not congested). We even saw two horses! We began our ride from Ayer. Ended with a very nice lunch at a very good taco/burrito place. Kind of a Mom & Pop version of Chipotle, on Main Street. Overall, this was my most favorite trail yet! We will definitely be heading back. I wrote a review called "What trail" a few days ago. I wish to retract that now. As it turned out some misguided folks pointed me in the wrong direction. As you pull into the parking lot, there is a walking trail on the left side. At the far end of the lot is the Rail Trail. It is paved and runs all the way to Ayer. It is scenic, and extremely flat. There are roots and such along the way as mentioned by others, with white paint to alert you. They are easy enough to avoid. There are places to stop and rest. The continued fine weather draws me out. Nice trail! 10/29/15 Today I started at the Countryside Dr. Entrance in Nashua , I guess where the trail starts. 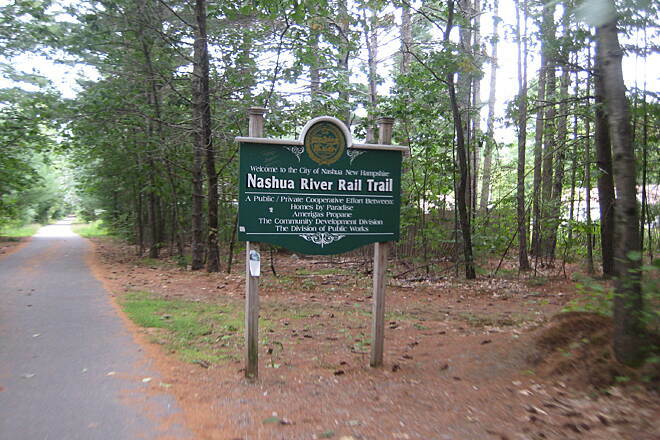 There was a big sign that said "Nashua Rail Trail" so I know I was there. The trail starts with a very rocky dirt path and various converging paths that head in every direction away from it- that looked the same . There were no markers or directions as to which way the trail went. Two trucks blocking the trail with men filling the "trail" with dirt confirmed that I was still on the trail. After about 20 minutes of this, including huge mud puddles because it had just rained, I came upon a lovely paved road that passed a school, where I saw other bikers. This paved road eventually became "Main St." In Dunstable. That was the end of the "rail trail" for me. I continued on even though it now contained cars hoping a sign would lead me back to it. i finally passed the Dunstable Library, where I was told I was two miles from the trail. Although it was still a beautiful ride, I was so interested in seeing the trail , riding without cars , and I think that there should have been at least little arrows to show a person how to stay on trail. However, the part of the trail that I was on for 20 minutes was just a rocky path through the woods, more suited to hiking. Next time I will start in Pepperel where there is an actual trail by the river. Trail is lovely, boasting wonderful scenery, ponds and river. Trail goes seamlessly from Ayer into New Hampshire, with relatively few stops needed for cross streets. Relatively little traffic on the trail, at least this day, and plentiful parking, in Ayer and at various spots along the trail. Only minus? several regions have bumps and holes, most marked with white paint markings. However, some are so extensive that it is impossible to avoid them --so be prepared for some bone-jarring. Worst section may be a mile south of Pepperell Center. With all of this said, the trail's pluses really do outweigh the minor (?) negatives. Nicely laid out trail in pretty decent condition, although the asphalt surface is marred by a lot of small tree roots trying to push through. These spots are marked with paint which is great. The downside, at least to me, is that you could call it peaceful, as 90% of the trail runs through the woods. Or you could call it boring, as there isn't much to see here but trees. Does this trail deseerve 5 stars? No, probably more like 3-4, but it certainly deserves more than a one star. I was here yesterday, August 2. One day after the previous reviewer. There are no weeds across the trail at any point. It was clean and clear just like the other times I have been this year. Yes, the ride can be bumpy. Alot of it is not frost heaves, but tree roots under the asphalt. While a bit bumpy, they have marked 90% of the bumps and holes with white paint to give you a warning. 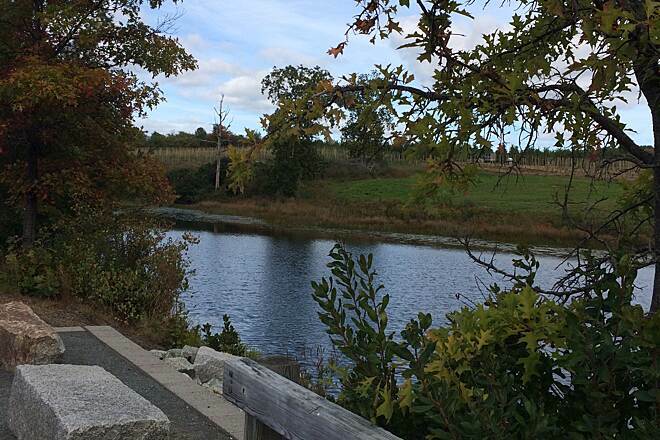 This trail winds past some backyards in Ayer, but then opens up to fields, marshes, bogs, a pond with a beaver damn. 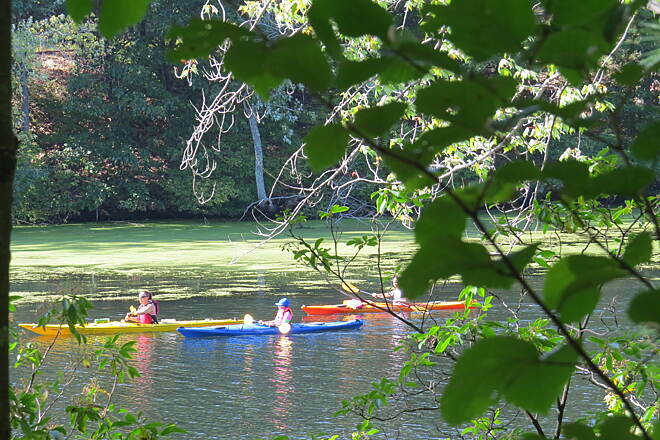 Most of the time it is a lovely shaded ride, and eventually has you riding along the Nashua River. About 8 miles into the ride, stop and treat yourself to an ice cream or a lime rickey! 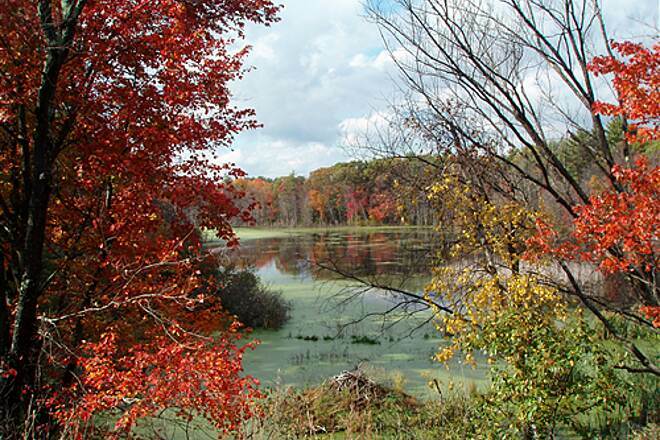 Can't wait to go back in the fall, bet the colors are pretty! This is a nice little trail for the area, much less crowded than the Minuteman Trail. Yes, the Cape Rail trail is nice, but unless I am on the Cape, it is not a destination. We have been using this trail for the past few years. But in the last year we have noticed that the trail is not being maintained. The weeds are growing across the trail, there are frost heaves every where which make riding rough. 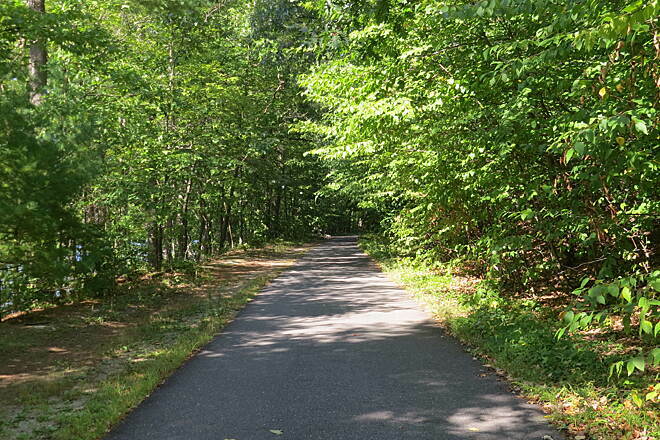 We recently spent time on the Rail Trail on the Cape, which is also maintained by MASS, it has less users on the trail but the trail is maintained very well. I would give the Cape trail a "A" and the Nashua trail a "F". Shame on the the maintenance company. This trail is wonderful. 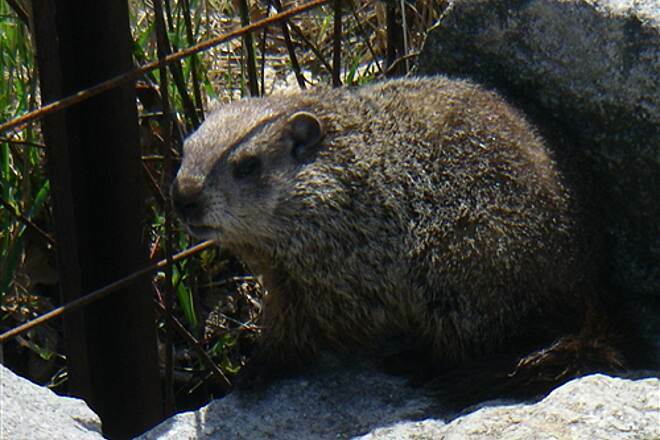 It travels through wooded areas with a lot of tree cover so you don't get sunburned even if you don't wear sunblock. It is a bit bumpy in spots with buckles in the trail at times. This could be a marvelous trail; however, when we rode it 2 weeks ago the weeds were growing over the trail and thus narrowing the width of the path. It was not possible to stop on the side of the path because of all the poison ivy growing on the side. There are lots of holes (all circled with paint) in the path and several locations where the tree roots have damaged the path. A lot of TLC is required. This is my favorite rail trail. I've been biking this trail for a few years and it has never been crowed.. A few streets to slow down and cross but mostly smooth sailing. (Except for the frost heaves). I would say its a rail trail for everybody. Beautiful Trail but too early to ride it! Rode this trail with my brother and a friend on April 12th, 2015 and it was awesome! We saw a beaver dam and even a beaver swimming over to it! There were a couple of parking areas as we rode towards Nashua. As we passed Pepperell and were almost to Groton the trail was covered in snow so we couldn't ride any further. We will try again in May when hopefully the snow is all melted away! Nice trail. Started in Groton and rode to Nashua and back. Very scenic, well maintained. Some frost heaves along the way to watch for, however tough with all the leaves. Some gentle inclines coming back from Nashua - good workout. 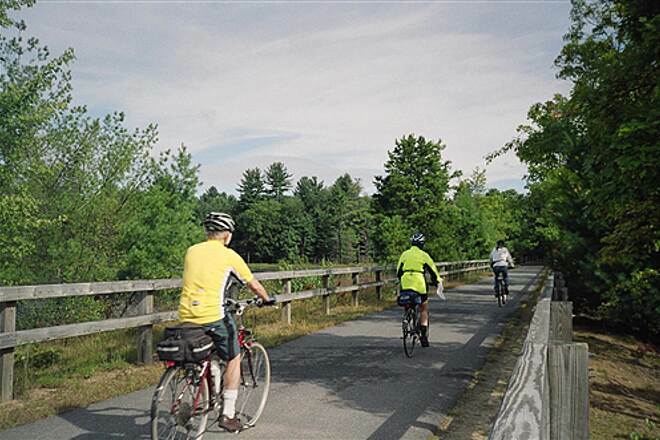 If you're looking for a great bike path to spend time on, either by yourself or with the company of others, the Nashua River Rail Trail has it all. 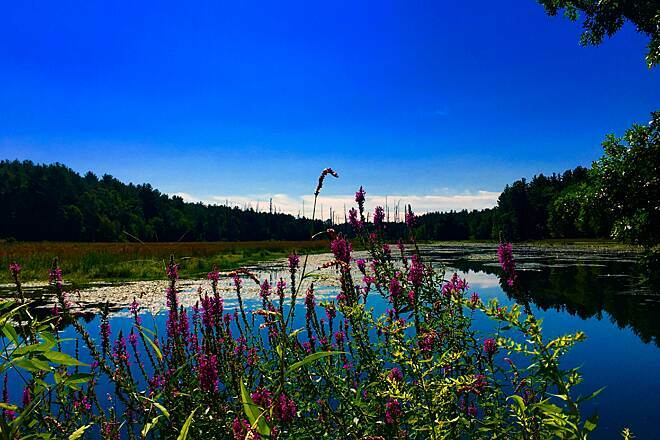 From the flat paved pathway to the scenic peek-a-boos that you encounter along the way, this 12.3 mile trail will take you from the trailhead's generous parking lot located at the end of Countryside Road in Nashua, NH to its end at Ayer, Mass. My better half and I made this trip in one hour's time (one way). Bring a few dollars with you so you will be able to stop and get some cold refreshments, ice cream or food along the way in the towns of Pepperell or Ayre. 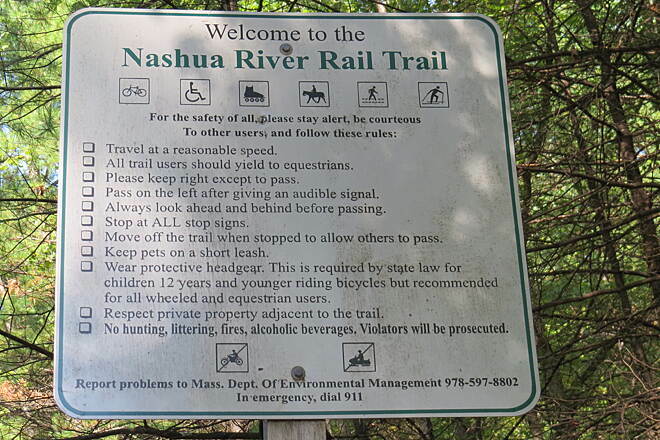 So whether you walk, ride, run or roller blade, the Nashua River Rail Trail is something you should consider. Directions to the Nashua end of the bike trail are spot on - too bad there isn't a sign of some sort on 111? We got there around 12:30 and there were around 4 parking spots, so we knew this would be busy. Most of the people using this trail "get it" with trail rules. Nice easy predominately flat trail. We did the trail back and forth in about 2 hours. Thank goodness for the white paint marking the frost heaves - nice job to whoever does that - wish more rail trails would do this. All in all, one of our best experiences in a rail trail. I recommend highly! Very nice ride. Partial shade, very clean, bumps are marked with white spray paint alerting you to a rift in the trail. Enjoyed the trail immensely. Unfortunately, didn't find the ice cream stand along the trail, but will definitely visit again! This is the fastest 12-mile rail trail we've ever ridden. We started in Nashua, and to our surprise, found out in Ayer that it was the end of the trail. We were able to ride it at a great pace, despite several rode crossings. It is very flat and well maintained. There are several large parking lots along the way. By noon, the Nashua lot was full. FYI: If you map the Gilson Rd. starting point from the north on the RTC site, there's no need to turn right on Gilson Rd., the parking lot is at the end of Countryside Dr. You can't miss it. This trail is very fun. It is about 12 miles long but the mile markers on the path are 1/2 a mile off because there are 2 one mile markers. 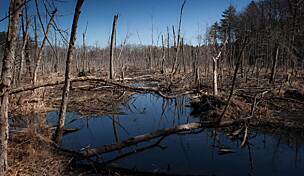 It is mostly shaded and goes through some marsh/swamp areas where there is lots of wildlife. We saw a fawn on the way to Nashua. There is not much off the trail except in Pepperel where there are a few stores and an ice cream shop. There is also a restaurant. It is pretty easy to bike both ways because it is very flat. There are no road sections and only a few road crossings. In one of the bridges you go under there are some paintings on one side that you should stop to look at. Though it may seem long it really isn't. It took us a little over 6 hours to do the whole trail from Ayer to Nashua and back to Ayer. This is definitely worth doing. My husband and I rode this for the 1st time last Sunday. A few people that didn't know trail rules but otherwise wonderful ride on our bikes! Mostly shaded with some great views. I went biking here this past Friday. We started in Nashua. There was a turtle, a snake, and a turkey seen by my husband and I on the path and (seen by bikers on our return to Nashua) also a bear crossing the path! Such beautiful scenery too. The path Is shaded, quiet, and marked well for bumps in road this time of year. Rode this on a drizzly weekday, so the trail was not busy. Asphalt is a bit bumpy in spots, but these are well marked. All in all a good ride. Some sections are pretty scenic and quite fun. I went to this trail 2, 3 times so far. On a nice day, it's a little crowded but availability of dedicated parking lot, quite nice view. This trail is one of my favs. I've been trying to figure out the mile markers without finding out the description, and still have not gotten. Plenty of places to park, very few interruptions and only one slightly difficult crossing (rt 113 in Pepperell). Great scenery. Don't forget to go a little bit further on the north end to the pond. For a nice side-trip visit Bancroft Castle in Groton, about a mile off the trail. From the southern terminus travel north up the trail 3 miles to Broad Meadow Rd and turn right. When you get to the on-coming one-way turn right and then a left onto Main St and a quick right onto Lowell Rd. Look for the trailhead less than half a mile up on the left. It's a little bit of a climb but completely worth it. We were able to get out on one of the first weekends with comfortable weather shortly after the snow had melted. The bike path is a real asset to this area, and was once again an enjoyable outing. The most scenic stretch was from Pepperell to Groton. We turned around just below Groton where the salt marshes are. The southbound stretch from Pepperell to Groton was slightly uphill. It's still a rail bed, so it's not at all hilly, but just be advised when planning. There was about a two gear difference between the two directions. Roots continue to be an issue. They are marked, but they are a problem in the making. 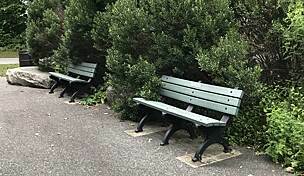 We also wished that there were a few more spots to sit down and take a break. With younger children, we sometimes need to relax for a few minutes. We stopped for ice cream in Pepperell at the restaurant with a window across the street from the trail. It was awful! It tasted like it had been stored since the fall - and was more ice-like than creamy. If you've never ridden it, this is very pleasant because of all the trees, and the nearby rivers; you'll never feel scorched on a hot summer day (not to mention an ice cream stand in Pepperell. There's some up and down but even a beginner should enjoy this ride. We started in Nashua and went as far as Pepperell. It is a paved trail, nice and wide, and very popular. It isn't close to the river initially. The road crossings have good visibility. I have walked a bit on this trail in Groton as well. Horses are allowed on this trail. It goes through neighborhoods butthere are trees between the houses and trails for the most part. The are a few defects in the pavement and they are marked well so it not a surprise when you go over them. I liked this trail and will try to go further next time. I've ridden this trail on numerous occasions, and it it is very, very well maintained, scenic and only relatively busy on busy days. Even (the few) potholes and bumps are spray painted. The parking in Ayer hold about 100 cars, but there are several paring spots along the way (although not nearly as large). This trail was a pleasant surprise. 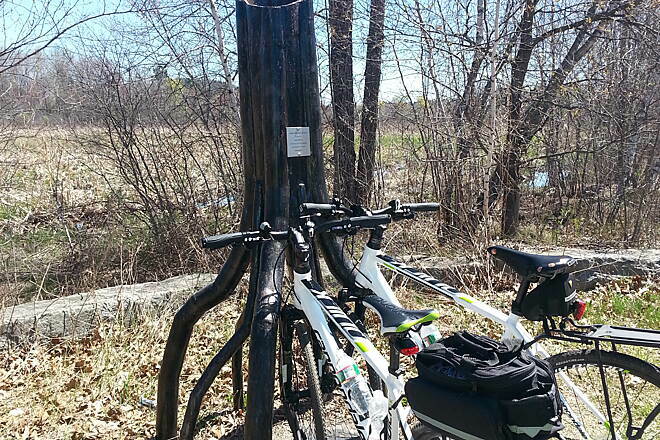 We rode the northern half, and parked at the northernmost trailhead in Nashua. The trail width was ample for two-way traffic, and the road crossings were reasonable. We had difficulty finding the parking area, since information online was not at all consistent. There are no signs until you get to the actual parking lot. Crowds were reasonable considering this trail is close to Boston. My only complaint is that roots and potholes are really starting to take their toll on this trail. If they let things go much longer, I will have a hard time recommending the trail. I hope they have a plan to resurface in the next couple of years. We rode this from N.H. to Ayers and back stopping in Ayers for lunch before our return trip. For a weekday I was surprised at the traffic on the trail. Completely asphalt paved, any rough areas painted, making them easy to avoid. Scenery was awesome the entire route. Most all of the trail is covered by trees making for a cool ride on a sunny day. Being from Kansas and flying into the area I wasn't able to bring my own bicycle and had to rent one. We went to Goodale's Bike Shop in Nashua. I was expecting a rental bicycle to be a piece of crap, but not a Goodale's. They asked me what I usually rode. They set me up with a Cannondale compatible to my bicycle for $35 for 24 hours. I used my Map my ride app and the ride was just over 25 miles with a 135 foot gain. No hills to speak of. Wonderful ride would love to do it again. My next ride is going to be some or all of the 200+ miles of the Katy in Missouri. Happy riding. We just rode the trail today from the trailhead in Ayer to the Groton/Pepperell line and back - about 15 miles round trip. Highly recommended! We are casual bikers (as opposed to racers) so the relatively flat topology suited us just fine. One of the prior reviews mentioned and we concur that there are LOTS of places to stop and enjoy the scenery. 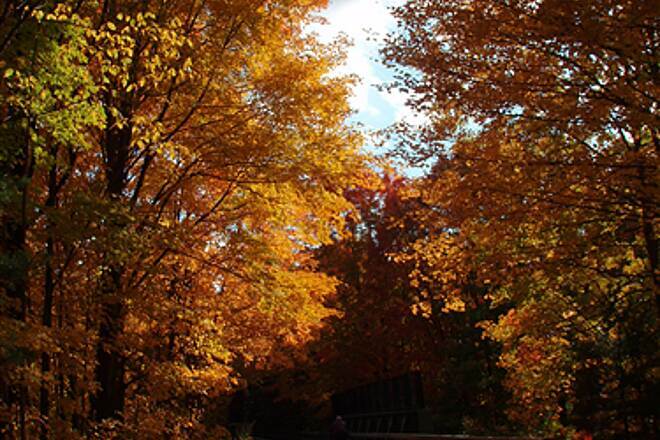 In fact, we're planning a return around mid-October as that should be peak "leaf-peeping" time. As an aside, if you'd like to stop for lunch along the way, we found a charming place on Main Street in Groton called the Main Street Cafe. Park your bikes in the rack by the way station behind Birmingham Bus Company. Walk up Station Ave. to Main Street and it's a block down on the right. This is unquestionably the best paved bike trail east of the Pioneer valley. Nice length, well-maintained paved surface. Can be crowded, but all the bikers and pedestrians seem to have good trail etiquette. Beautiful scenery and lots of places to stop for ice cream or pizza. Don't miss this great riding experience! 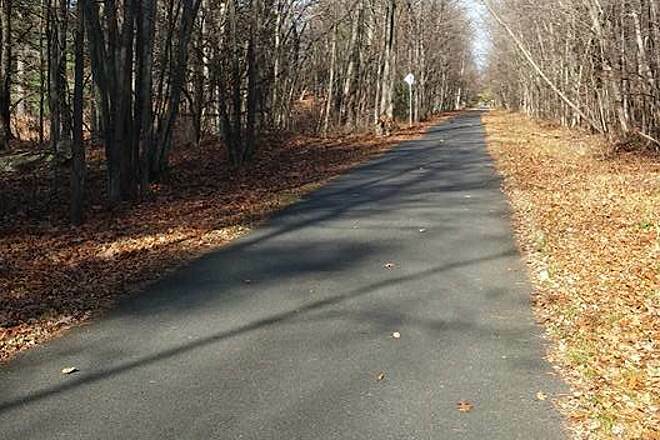 This nice paved trail connects Nashua NH to Ayer Ma. It is paved and flat. Most of the users of this trail seem to know bicycle courtesy and yield to those "passing on the left". It crosses just a few streets and all the drivers are aware of the bicycles and yield appropriately. The trail is well maintained and the bumps and heaves are painted white, which is a nice heads up since most of the trail is almost perfect. The only thing this trail lacks is adequate scenery. 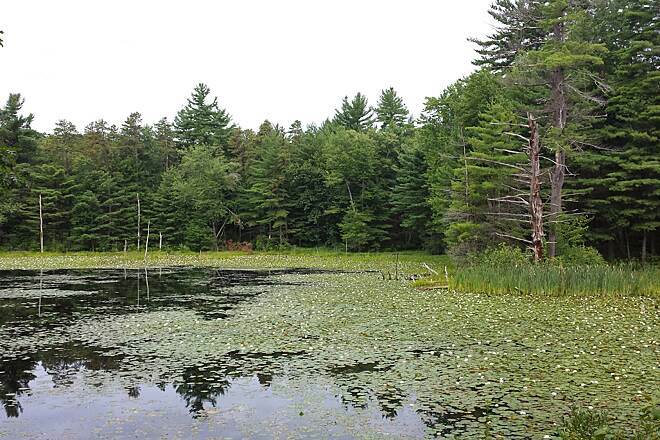 It is mostly wooded with some views of the rivers and wet lands, but in my opinion to far and in between. 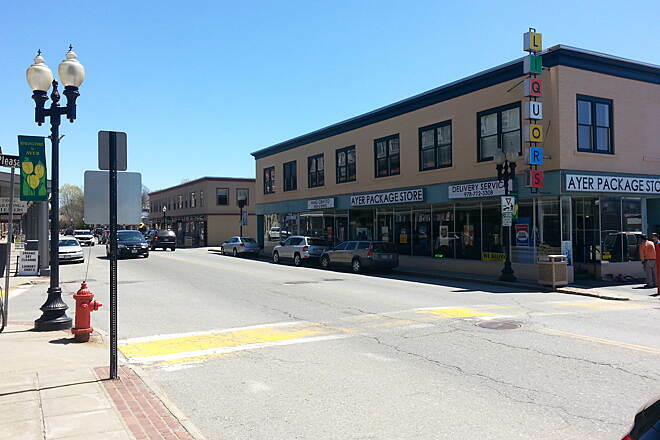 Stop for an ice cream in Pepperell or ride to Ayer, go down town to the only sub and ice cream shop in town. It is 12 miles in each direction and riding with my wife who is a novice rider, we easily did each direction in one hour with no strain. One of the best trails I have found in New England. I often take the children for rides along the NRRT. There are many great starting points along the 12 mile trail, but our favorite is to start at the trailhead in Hollis, NH. From there we ride down about two miles, where some wonderful locals have installed a coke machine and put out chairs and a recycle bin during bike season. The children (and I) find something magically incongruous about finding a coke machine out in what feels like deep woods (though there are private residences abutting the trail at this point behind the trees). 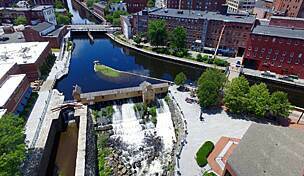 From there we continue on past some beautiful views of the Nashua River. There are some neat mile markers left over from the 19th century rail road that ran through here from Worcester to Portsmouth, NH. 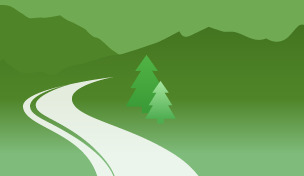 There are also some side trails, including some well-suited for mountain biking, and many opportunities for geocaching. About five miles down the trail, you'll come to downtown Pepperell and Rail Trail Ice Cream, a frequent stop of ours. (There's also good parking there, if you'd like to start from Pepperell.) 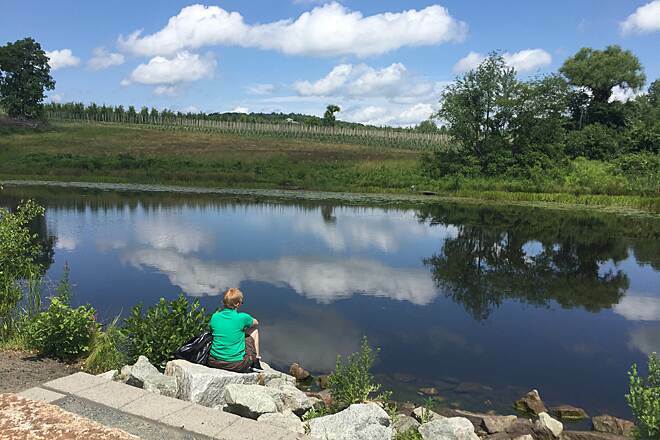 Just past downtown Pepperell are some lovely views of the dam and some good stones to sit on for a picnic, if you're so inclined. 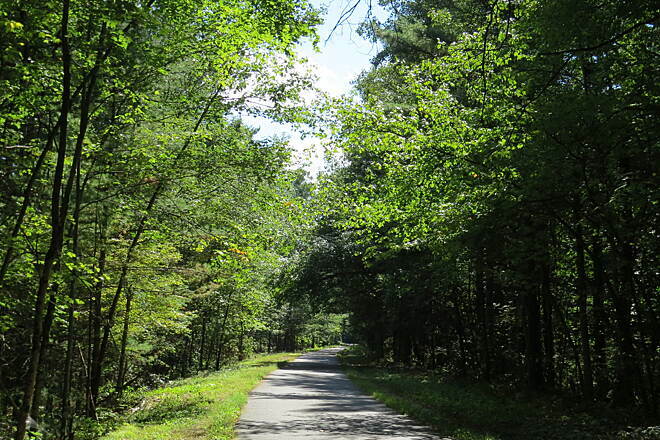 The trail then winds through the Cronin Reservation area and the J Harry Rich State Forest. Soon after, you pass through Groton, MA and you pass over Rte 119/Main Street on a former railroad bridge. 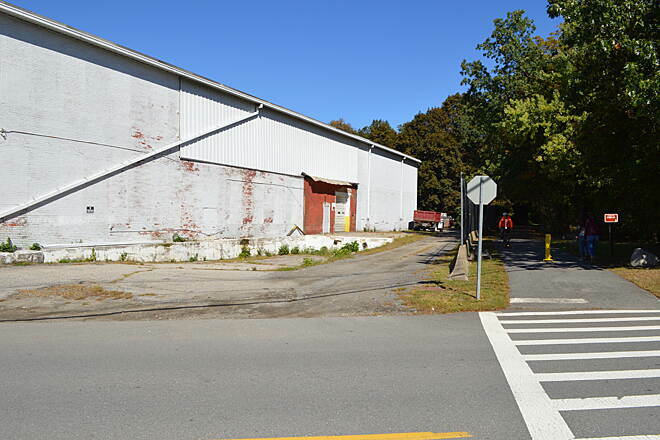 Soon you'll come to the Station Avenue parking area, and if you venture up Station Ave a short way, you'll find pizza and other amenities in downtown Groton. 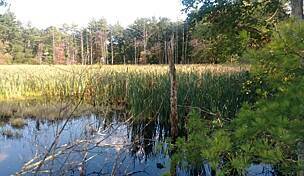 The trail then heads on to Ayer, past some lovely wetlands, sometimes on both sides of the trail. And then you'll reach the terminus at Groton Street in downtown Ayer. Ride over to Main Street and its quaint wooden sidewalks and grab a bite to eat at one of several restaurants. This trail is as good as it gets to enjoy a ride, walk or run. It is great for a family or just a ride on your bike to get some fresh air. People were friendly and the ride is beautiful. 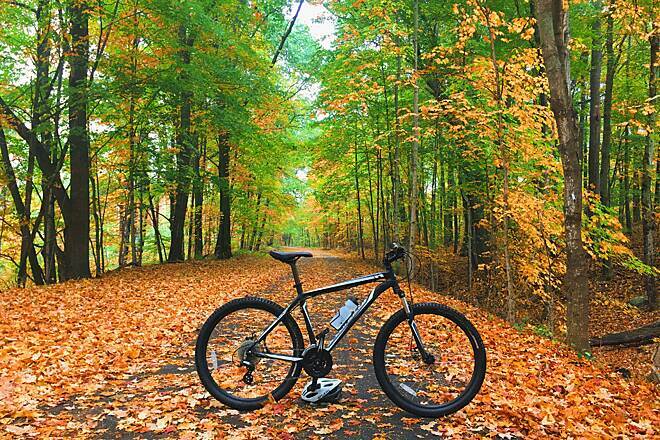 This is what you want in a rail trail, comfort low impact riding, and mother nature at its best. It is worth the drive and you will have a great day. This is a nicely maintain trail and the paving is great for biking. My only complaint is that it is a fairly boring ride, almost completely enshrouded in trees. This makes for a cool ride unless it is a hot hot day. Very little sun and not a lot the see unless you like looking a miles and miles of woods. On the plus side, there are plenty of places to pick up the trail with easy parking. It is well maintained. And please anyone riding any trail, if you must ride 2-3 abreast be aware that there are other people on the trail and might be passing you. Don't act like it is a complete shock each and every time a rider comes from behind and alerts you "on your left". This goes for every trail. trail is great for the young and young at heart! Easy ride mostly flat with slight inclines. Plenty of parking available in all locations. 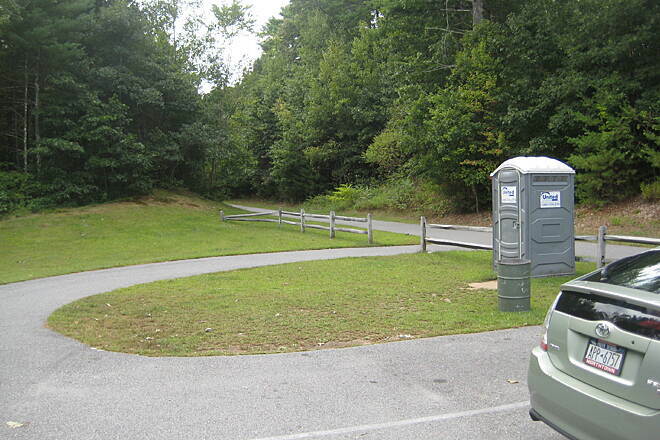 Need to improve the port-a-potty's, Nashua end trail facilities was unusable. We're a family with 2 little ones, ages 2 and 8 months, who love biking in their trailer with dad. We parked in Groton off of court street, there were plenty of parking spaces in the dirt lot, not overly busy for a weekend. Being right in the center of town proved helpful when we realized we forgot our water bottles at home! the trail seems pretty popular for families, lots of groups whizzed right past (with a friendly on-your-left). The path is wide enough for the traffic, we were never concerned. Our kiddos enjoyed watching the trees and river and there are plenty of spots to pull off for lunch or the ever-needed diaper change lol. And on top of it being a really well paved trail, they've even gone to the trouble to spray paint mark all the bumps, holes, and roots along the way so you have some notice before your little guys get jostled. The whole ride was well shaded, so even on a hot sunny day it's doable for kids. Check it out! As we were driving home today , after our ride, my husband asked what my favorite trail is so far.. We try to ride a new trail every weekend. I couldn't decide, and we both agreed that all the trails have been great. 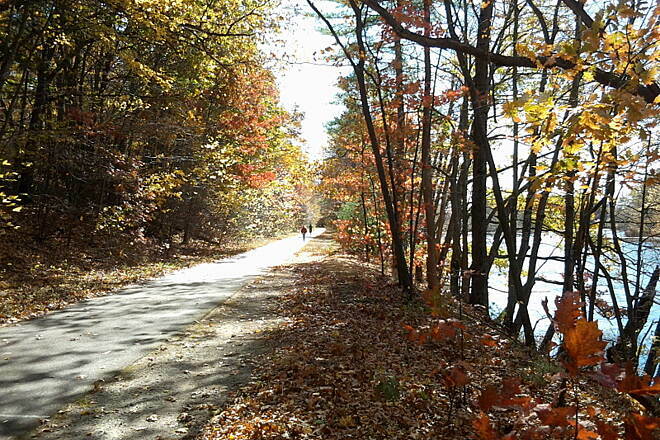 The Nashua River trail is no exception. Well groomed, pleasant scenery, and several small towns offering opportunity to stop for snacks. Saw lots of ice cream cones in Dunstable! Many cyclists and pedestrians of all ages and everyone very friendly. This will definitely be a trail we return to. This is a wonderful trail for walking and biking. As one who bicycles this trail frequently I have read a lot of fellow bikers making comments about pedestrians not sharing the trail with bikers and not moving over so they could pass. Common courtesy always works best and I think you will find that with the measure of courtesy you measure out to others they will measure back to you. Most people don't know what "On your left" means and others may take offense to it as sounding like you are ordering them to move. I find an "Excuse me please" always works everytime. All people understand that and there is no room to take offense. Try saying "Excuse me please" the next time and you will find that everyone will promptly move for you. I speak from experience. Happy trails!!! This trail is my regular weekend ride and it provides a nice scenic experience with minimal road crossings. I tend to go very early in the morning to avoid the pedestrian traffic. For the most part early joggers and walkers I encounter are pretty good about following the rules, however, there are the occasional folks who still think it's a road and run or walk on the left side which keeps you guessing until you have to slow down and make sure they are not going to switch sides. 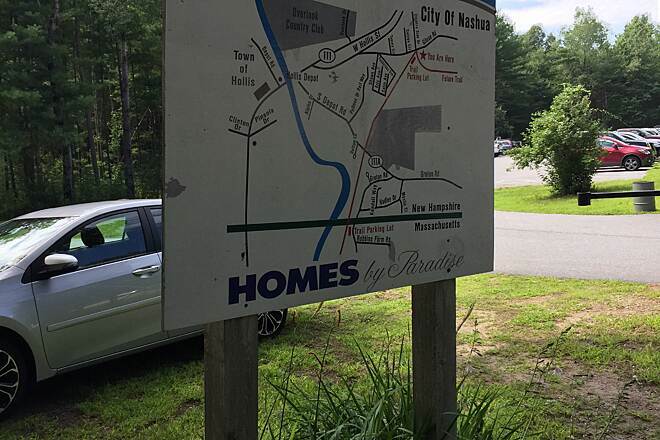 I start at the Nashua trailhead as I live in Southern NH, this provides a nice parking area and gets you the additional mileage north of the Tyngsboro (DCR) lot. Main St. to the former Ft. Devens entrance and ride around Rogers Field and loop back via Macpherson/Bishop/Park St. The only reason I am giving this trail 4 out of 5 stars is that it could use some upkeep/surface repair and at least one more restroom on the Northern section in Nashua or Tyngsboro. My Wife and I love this trail. We go back to this trail every year. It's a good workout if you pick this trail to ride for the first time in the season . Finding trail head in Nashua was hard with traffic behind you. Recommend a good sign with city ok.
Got out on the trail for the first time this year and found some rough areas. I got to the Nashua trailhead about 4pm and found the parking lot closed up and locked. I'm not sure if the parking lot was closed for the season, I've never seen it locked up before. I parked off the side of the road, along with 3 other cars. On the trail there was quite a bit of tree litter and you could see where large trees had come down and were cut back. There was also patches of snow and ice left that slowed me down. I always start this trail in Nashua. It is a nice ride. 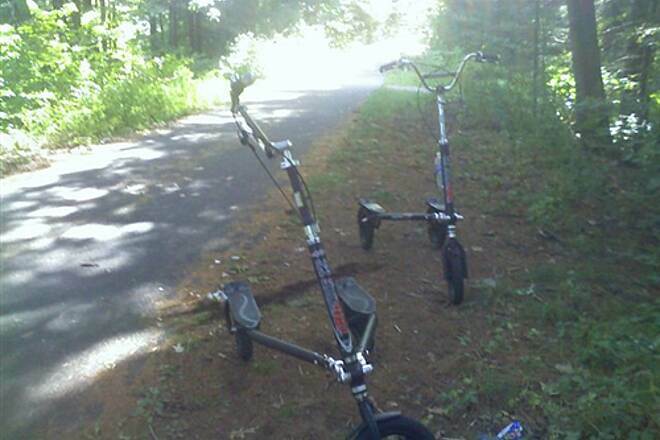 I've ridden this trail probably 10 times of the summer of 2012. The trail end in Ayer is nice. There is a bike shop, gas station for water, and some restaurants if you need to stop for a bit and eat if this is long route for you. The only issue I have and it is always the same for most trails is people don't know how to share the "road" But I have found using a bell instead of yelling "on your left" works much better. I agree with (Great Trail's) comment about the people that walk or ride 3 to 4 abreast. No matter how loud you say," on your left ", they seem to be bothered by your presence. With that off my chest, this trail is a great way to get in a fun 25 mile ride. My wife and I ride this trail every Sat. and Sunday during spring, summer, and fall. only a few people on the trail itself. I would guess to say people that work in downtown Ayer park there for work. It is a bit frustrating when you take a day off to ride. Oh well. You can do what we do and park in the Nashua Lot. All in all. Great Trail for a Great Ride!!! I've done this 3 times and loved it every time!! Just started on Rail-Trails. Being a Sr. Citizen I love the Asphalt! This a far less crowded trail than the popular Minuteman train from Arlington to Bedford. The trail head in Ayer is a 45 minute drive from Boston, but its easily accessible from the northern & western suburbs (and from southern NH). The pavement is in excellent condition. It goes through "exurbs", farmland, woods and wetlands and it's quite scenic. Did 15miles on this trail yesterday (Ayer to the ice-cream shop and back!) with my husband and 2 kids (10 and14), it goes through beautiful scenery and the trail is in good condition, any bumps are clearly marked so that you can avoid them if you are on a road bike. nice mix of people on the trail: families, roller bladers, serious and casual cyclists. There is ample parking in Ayer. Only one note of caution, as this was a Sunday the trail was quite busy at times and although most people were very courteous when they overtook my younger daughter and I, there were some people going too fast. One person even overtook us on the right, nearly taking out my daughter. We were riding in single file, well over to the right of the trail. If you want to cycle really fast I'd suggest going somewhere else or choosing a quieter time of day. That being said, it was still a nice safe place to cycle, we are hoping to return soon to do the New Hampshire end of the trail. 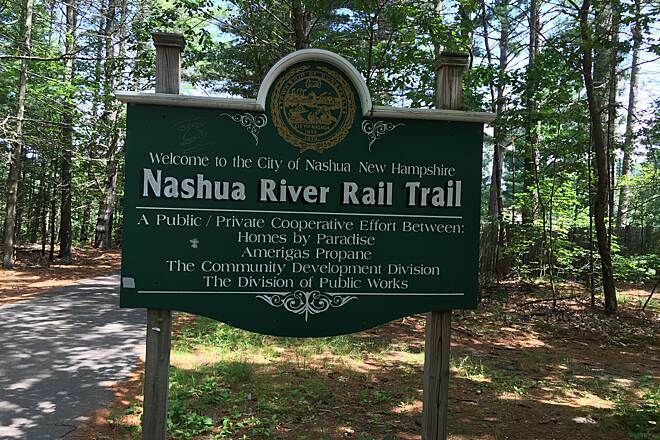 To whom it may concern...a huge thanks to the cities of Nashua, Ayer, Groton, Dunstable...for the first time I had the chance to ride the Nashua River Rail Trail ((4x) this week) I was completly blown away by how well the trail is maintained. THANKS A MILLION!!! I feel like I just found a hidden gem 35 minutes from my house...my only regret is not knowing about this trail sooner, as I have lived in NH for 10 years! I will ride this trail "many" times in the near future...I can't wait! My only small complaint is the lack of "trail etiquette", I ride at about 15mph on average and had to come to complete stop on several occasions because people were walking or biking two or three wide and not paying attention to my very loud verbal signal "ON YOUR LEFT"...remember people, we pass on the left, and once we pass, we move to the far right side of the trail. If you must ride in parallel be aware of riders coming on your left. Other than my one complaint, I give this trail 5-stars...its even better than the Minuteman Trail, and I ride that trail 75x a year and love it. My wife, my son and I bladed the trail from the south terminus in Ayer to the quiet parking lot in Nashua on Memorial Day weekend. Light traffic on the trail. 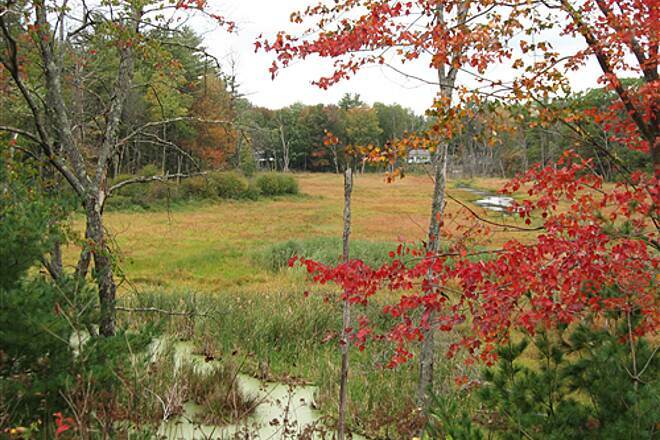 Mostly good pavement with nice views over the Nashua river and affiliated swamps. 11 miles of shaded trail with an extra mile above the New Hampshire border. A couple of good eating options in East Pepperell about 8 miles in. We really liked the Pepperell Spa with its old type soda fountain, sandwiches and great ice cream. The great thing about this trail is the rhythm you can build. Few roads to cross. No silly cobble stones or rubber mats at the crossings. Lots of clean pavement and sweet views. We'll be back lots this summer. What a very well maintained and beutiful trail this was. My wife and I went at 0830 on a weekday and there was nobody on the trail. We parked in Ayer in which there was 4 spots deicated to trail use during weekdays. The ride was smooth and very well marked. The bumps and crevices were marked also. There has been recent work to trees and it looks nice. 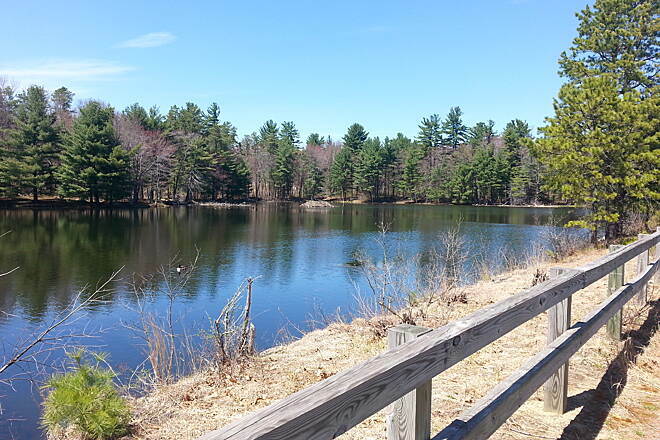 It took us 2hrs each way with a stop at a pond in Nashua for lunch. We will be back for many rides! Thank you to all who maintain this trail! I just went on this trail at noon time today 2/8/12 and found to be even better than the minuteman in bedford. This was actually my first rail trail experience, but I have to admit that this one has set the bar really high! I loved everything about it. Fairly level terrain with tons of scenery (ponds/wetlands, farmland, horses, wildlife, etc). I'm sure it gets busy on weekends, but it wasn't too bad on the Friday morning I tried it. There's also ample free parking at the trail head in Nashua. This will by my trail of choice for a while, I'm sure! I am very lucky to live 10 minutes from this trail. I biked this trail all last summer and have biked it 4 times this spring. I would suggest starting your ride in Hollis, NH. From Hollis to Peperell, Ma is mostly flat then from Peperll to Ayre there are some small inclines. This makes the return trip easy with some down hills. very beautiful scenery. On weekends this trail can get busy and some familys and groups do tend to forget that there are others that they need to share the road with. 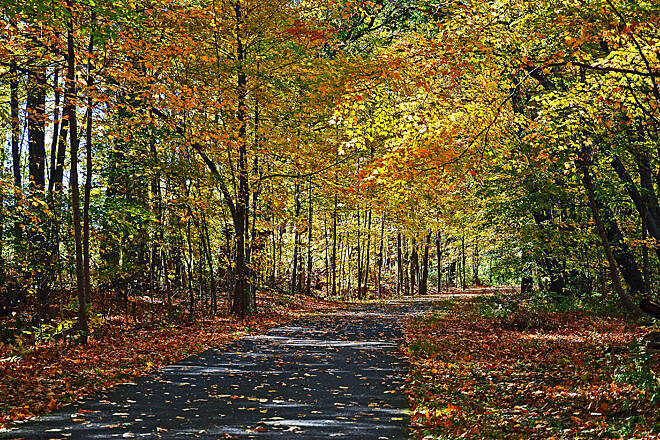 Use the trail to get ready for the 50 mile MS Challenge walk on Cape Cod. Looking forward to returning to the trail for this years training. I will add new pictures over the spring / summer to those from last year. I rode this trail today. Left good about the trail. There is ample parking right at the start of the trail. The trail is marked for the distance also for the bumps and cracks. This trail kind of goes along a river, it was wonderful to stop and watch the water. There is an extremly busy road after 9 miles or so which I had to wait for a long time to cross. There is no walk sign, we are to cross if the cars stop for us. The road is big too. Rode this trail for about two time now. 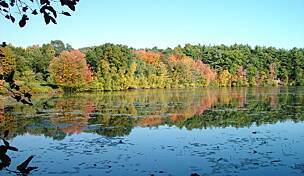 I have been biking and rollerblading the Nashua River Trail for a few years now, from Ayer to Pepperell and back. Over the years I have seen it become more crowded, which is overall great that the trails are getting so much use and becoming popular. I appreciate that this is a family time, a very safe place for kids to ride their bikes. As one, who is likely biking twice as fast as your child, and likely faster than most adults, I would appreciate the same courtesies to be shown to me, as you would expect me to show to you and your family. It is a luxury to ride side by side, please be courteous if someone is trying to pass you. Slowing down, is not allowing space, it just means I catch up to you faster. Move to the right, does not mean if you were on the left, move to the middle, it means move the right, so someone can safely pass you. This weekend I got caught up, emotionally, and yelled at someone as I passed them. They were the 4th person/ group of people, who I had to yell "On your left" multiple times, each one with a bit more edge than the time before, before they even acknowledged someone was behind them. At one time a 6 or 7 year old child, riding with his family, was riding directly at me. I am riding around 15mph - if you see someone coming towards your child, have them move over as soon as you see someone approaching. These parents said nothing to their child- despite me waving my hand and yelling at him to move over multiple times. And yes, I did slow down. I should not have had to. Please be responsible. I don't want to have to be rude, please don't give me reason to. If there are 4 of you, please stay to the right. If you are talking you will not hear me come up behind you. Be aware of your surroundings and let each of us enjoy the rail trail at our own pace! This is a beautiful trail, especially this time of year. I highly recommend it for biking, rollerblading and families. I walked 20 miles Thursday 812 and 10 on Friday. Though sometimes it seemed crowded, this trail was a very pleasant way to spend a day riding. My husband and I were visiting the area and wanted to do some cycling. He purchased his first recumbent bike and was still a novice at riding it. In his words, "It was the straightest, most level road in New England!" We started at the trail head and rode the entire length and back. The scenery was magnificent and it was nice to ride somewhere that autos weren't allowed. I'm looking forward to return trips! I rode the entire lenght of the NRRT today. It was a wonderful ride on a beautiful day. When the budget permits, the mile markers on the road need to be re-painted (and larger please). They are unreadable. no problem parking in the ayer, ma lot when I arrived at 6:30 a.m.! beautiful trail, am heading back tomorrow - this will be a regular stop in my cycling rountine. If you find the parking lots full, you can get back on Route 111 and go towards Groton. Turn right on Broadmeadow Road. The R.T. parking lot is on your left just after you cross the R.T. Your ride will be shorten about 3 1/4 miles. 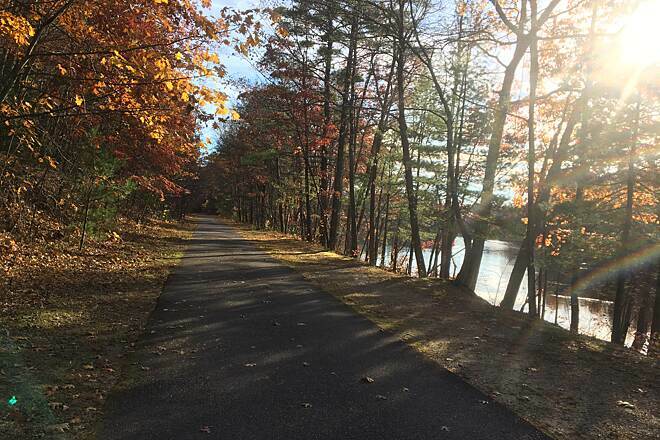 The Nashua River Trail is a favorite. 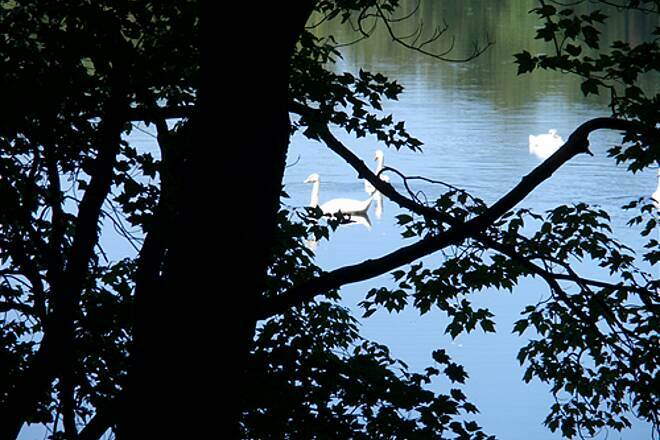 It runs along the Nashua River (duh) for most of its length. There are few road crossings and lots of ponds to observe and woods to go through. the good news is that it is not very crowded. The bad news is that news of the trail is getting out so more people will be using it in the future. I guess that's not really all that bad. To eric 87," there" Some good dog owners such as myself walk on the right edge of the trail with my dog to the right of me on the grass. My dog has never gone near a bike. If there are bad dog owners on the trail then they should not be there. Sometimes I wish there was a cop on the trail. There is a huge difference between jerks with agressive dogs and people with well trained house pets. I don't know what you "heard" but whenever I have walked or biked the trail I have had the most trouble with people on bikes thinking they owned the trail. Even if I walk without my dog I have almost been hit by people trying to ride three across. The trail is for everyone and we all need to be mindful of who is there. If a dog runs in front of a bike then the dog owner should be sued for a hefty amount. Good dog owners such as myself have no tolerance for bad ones. I love this trail. And I just wanted to say to Stephen there that I've heard of a lot more problems with dogs hitting bicyclists (and crashing them out), than with bicyclists hitting people, on the Minuteman in particular. We parked at the communiter parking lot in Ayer and was lucky to find a space. When we returned from our ride, a police officer was giving out parking tickets ($15.00) to cars that were not in parking spaces. Also the officer told us that people were complaining about cars parking on side streets and the cars were also getting a $15.00 ticket. I asked the officer where to park when the lot was full. He suggested downtown behind some of the business by the RR tracks? I would suggest that people look at a map and find other parking lots along the trail. The rest of the lots only have one or two cars in them and their is plenty of spaces. Their is another parking lot by Dunkin Donuts but that one is usually full also. The trail is less busy than other trails I have been on such as minuteman. You can walk the dog without fear of bikes hitting you. Our favorite rail trail and now even more so thanks to the FUN engineer and lovely woman (who wears her helmet backwards) who stopped to help me with my flat tire. Thanks so much for spending a part of your labor day with us! 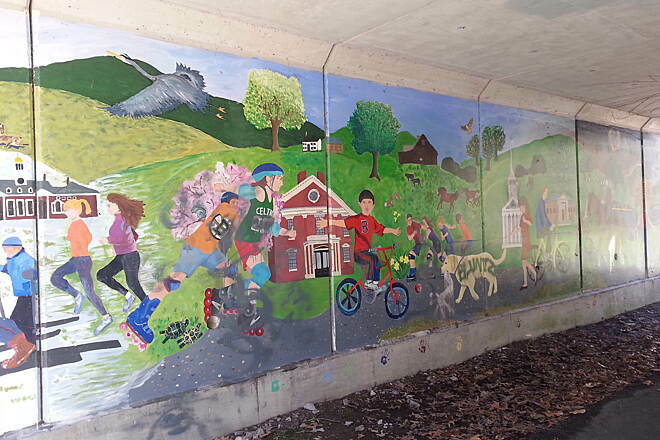 "We live in town and use this trail often, walking and bicycling. It is a great trail for families. Bathroom facilities are in Ayer. This is a friendly trail and saying hello to everyone you come upon is a rule. Pepperell is great stop for dinner or ice cream. Sure wish the town or state would get after the landowner who left couch and trash beside trail. It's an eyesore." 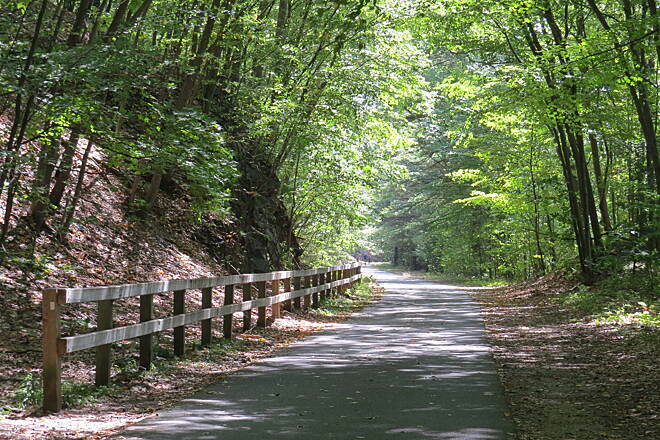 3) It runs through a much less developed and more scenic area than the region's other major rail trails. 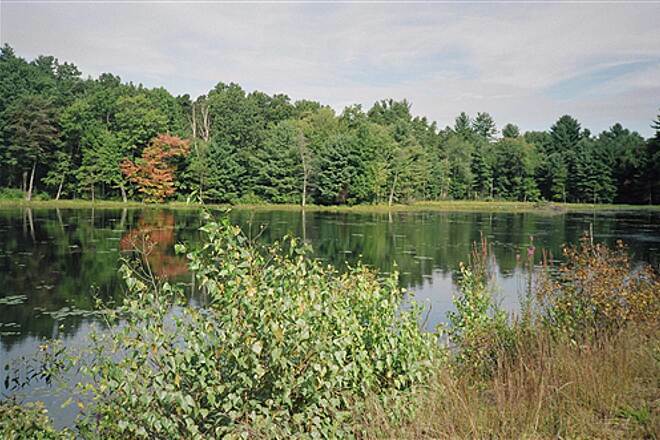 Some scenic highlights include the large pond and beaver dam at mile 2.0 in Groton; the areas where the trail passes through the Rich State Forest around mile 5.0 to 6.5 in Groton (with unpaved side trails, courtesy of the Groton Conservation Commission); the section that parallels the Nashua River from mile 6.5 to 7.5 in Pepperell; and the crossing of the Unquetynasset Brook in Dunstable at mile 10.0. The trail also passes several horse farms and an orchard. I personally find the northern end of the trail much more attractive and uncrowded than the southern end. The trail is most densely wooded and shady in Dunstable and Pepperell (better for hot summer days); the vegetation is scrubbier near Ayer and the landscape is dominated in several spots by large arrays of power lines. There is a slight uphill grade as you travel from the northern end of the trail, at the Dunstable MA/Nashua NH border, to the southern end at Ayer. 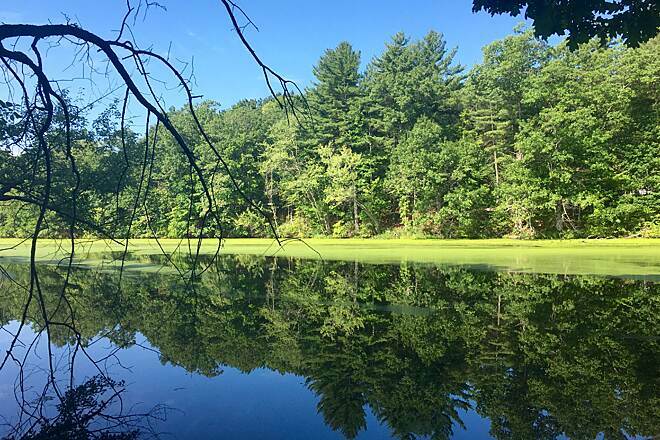 For this reason, as well as the fact that Ayer offers public restroom facilities and places to get food, I think it's best to start from the trail's northern terminus, so you can stop to recharge at Ayer and then head back northward. I'm so glad to live near this gem of a trail! It's a real perk for anyone who lives in northern Massachusetts or southern New Hampshire." "I love this trail, I plan to ride this trail often in 2006. Ride it if you can." With the growing popularity of both the rail trail and the T-station, this lot often gets completely full. Unfortunately, people are starting to park on the grass, in the walkways and in the handicapped spaces, which is ultimately going to attract the wrong kind of attention to this trail. On weekdays, many T commuters park in this lot all day, so parking spaces don't open up until around 5:30 PM or later. Street parking on Rt. 111 is often available (before the bank at the corner), but there is a 2-hour limit (good for most trail users, bad for commuters). On evenings and weekends, you can often park in the bank parking lot (on Rt. 111, at the corner) as long as the bank isn't open (there are numerous ""for bank customers only"" signs), or on the street. 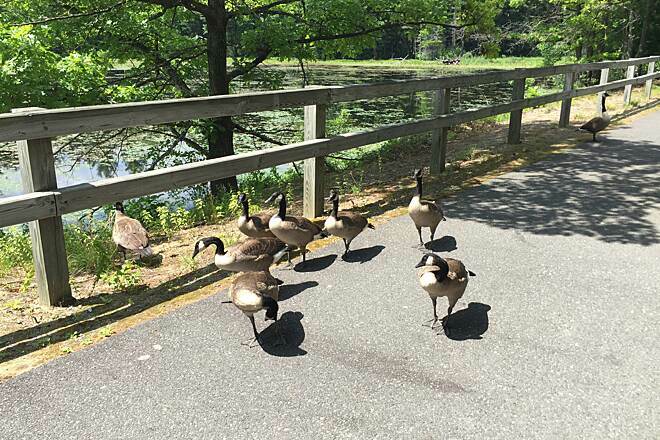 Alternatively, there is almost always plenty of space in the unpaved parking area next to the trail near Groton center (at Broadmeadow Road)." 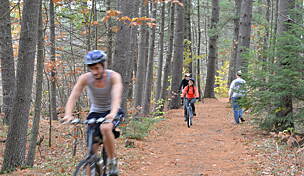 "This is a great trail and I'm thrilled that it has been extended a little more to the Nashua line. We use the trail at least once a week if not more, my only comment is that they need more restrooms. You only have the two at the Ayer end but nothing beyond that. I know that occasionally the gas station in Pepperell center will allow you to use the restrooms but they don't always. So on those occasions, there is nothing until you get back to the Ayer parking lot. Some times when you do the entire lenght you need to make a stop before getting back there and there is no place to go! " "Great trail, but PLEASE KEEP RIGHT"
"First off, this is one of my favorite rail trails for road biking, period. Typically less crowded, and with fewer road crossings than the (relatively) nearby Minuteman rail-trail, yet the length is similar. My only pet pieve is that some less experienced trail users DON'T REALIZE THEY NEED TO KEEP RIGHT, just like on a regular roadway. This creates a potentially dangerous situation. 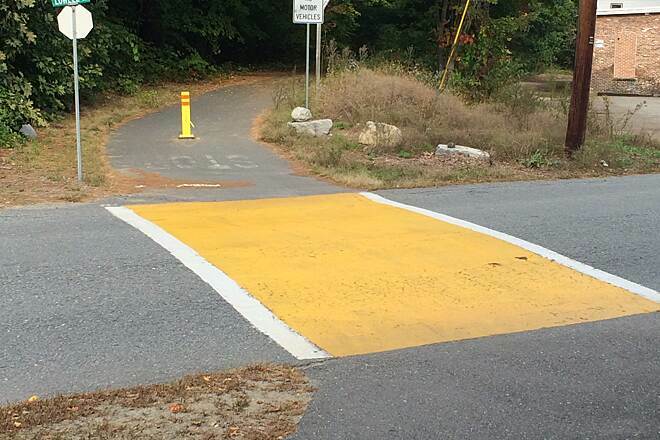 Minuteman has dashed center lines clearly marked over most of its length, in addition to numerous ""keep right"" signs, whereas the Nashua River trail has almost none. 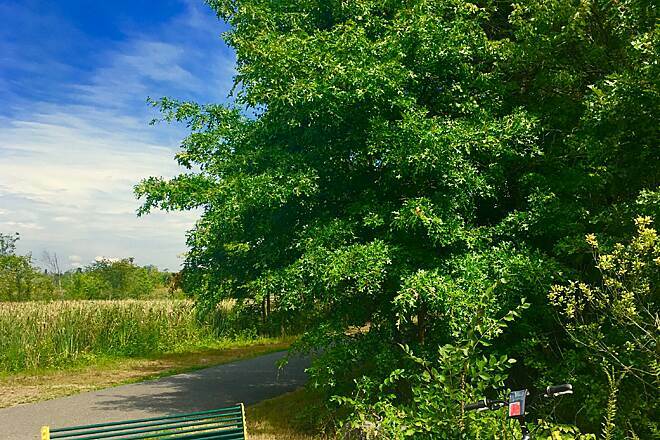 This is a popular trail with dog walkers and families, as well as bikers and rollerbladers. Most people make a great effort of keep everyone in their group on the right side of the path -- particularly when they see a another biker or rollerblader coming. PLEASE, PLEASE, PLEASE remember that the ""rules of the road"" apply to rail trails also!!!" We go down and rollerblade after work a couple of nites a week. We love the trail! "I rode this trail on a warm June Saturday starting around 630pm. What a great trail to ride. I only ran into a few people riding and one group of walkers. The pavement is well taken care of. 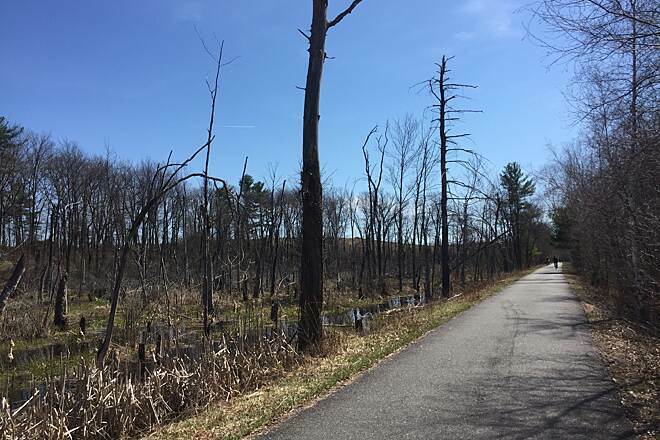 This trail wanders through swampland, beaver dam ponds, rivers by a waterfall and by several farms and one small town that has a rail trail ice cream shop and water. Nice trail!" This is one of the best family friendly and safe trails I have taken my kids to. Each child can go at a speed that works for them. I can let my older son race ahead and my girls can lag toward the back. I don't have to worry that a car is in waiting around each bend. 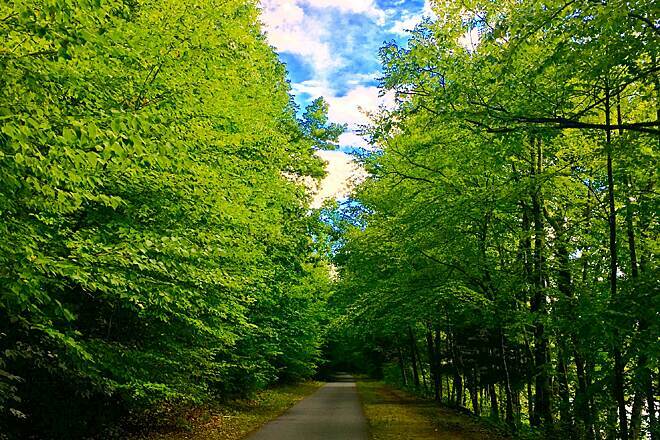 "I did this trail in August while enroute from PA to ME (not by bike!). It was a pleasant and interesting ride, good surface for my thin road tires, and easy on the legs (mine being nearly 70). At the NH border there was a sign that seemed to discourage one from going further north, even though the pavement continued." "Great for biking, but no snowmobiling"
"This is one of the best trails for riding bikes, walking or horseback riding. It's too bad, though, that the trail is not open to snowmobilers. Snowmobilers tend to bring big business to the Pepperell Center. I do not see this trail being used during the winter." We have ridden many rail-trails and I must say this is one of the nicest. The surface is great and the scenery is beautiful. I highly recommend it. This is a great trail. I try to get out there once a week. I've noticed that the bathrooms are still open and that's great! I hope they stay open and don't get locked. "What a beautiful trail. I never get tired of going to this bike path. I enjoy watching people riding horses, looking at nice ponds and viewing the hawks flying around. From my house here in Medford,MA, it`s about 80 miles round trip. A couple of friends and I do this trail at least four times a year. "The paved trail now continues into New Hampshire beyond the turn-off for the Dunstable parking lot. It now ends at Route 111A at the Nashua/Hollis line. With the addition of a path from the parking lot heading north to or south from NH besides the current trail, there is now a ""Y"" intersection so caution should be exercised. New yield or stop signs will likely be put up soon." "Excellent trail. We ride the Pepperell to Ayer section nearly every weekend. Nice options for extensions into Devens (mirror lake rec. 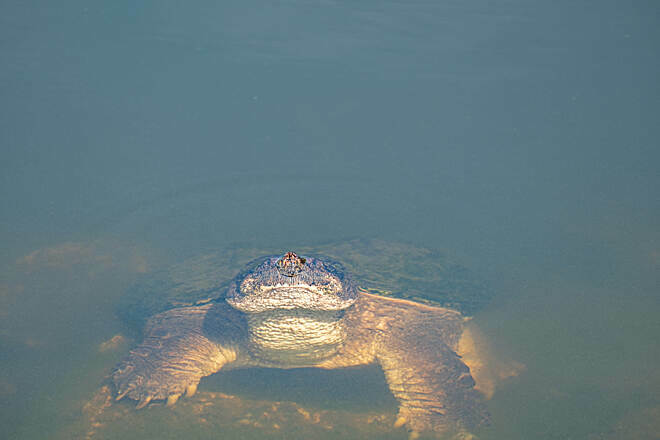 area is great for swimming on hot days) - or even into the Ox Bow National Wildlife refuge via underpass below Rt 2. Take dirt roads through the OB NWR to far side and exit (up long hill) to town of Still River. 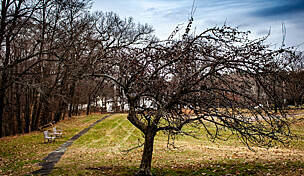 This is only a short distance from the Fruitlands Shaker Museum in Harvard, a great destination. Continue to Rt. 110 back to traffic circle (rt 2A) in Ayer then back! The commuter rail station in Ayer provides many other options (and you can take you bike on the train too - except at rush hour). The Dunstable end isn't far from the Pepperel Airport & jump center. 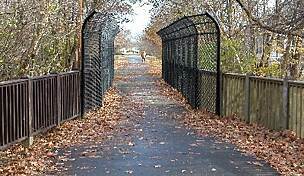 Go straight ahead on the original rail line when the paved trail turns right to the parking lot at the dunstable end. Follow dirt path to Rt 111A, left on 111A, left on 111 (towards pepperell), cross river, airport about a mile (or so) on left. It's very active (continuous parachute activity) on nice spring/summer/fall weekends. The rail trail itself is becoming more popular which means more CROWDED on nice weekend days. Unfortunately, people operate on the rail trail much the same as they do on the roads around here, too often rude, arogant & danerous. Be careful & enjoy this great asset to the area!" "I rode this trail for the first time on Columbus Day 2003. 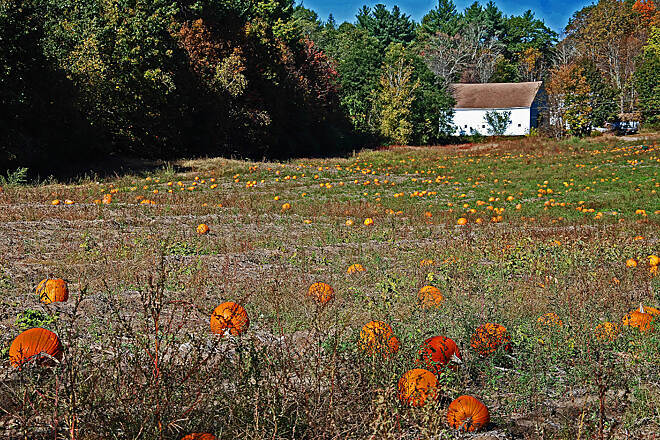 The weather was perfect and there was beautiful scenery, including a field full of pumpkins. The trail is so new, there are no bumps at all. It was a perfect New England day!" "I have been riding this trail for 2 1-2 years now and find it a great use for abandoned rail beds. One comment, though: from Pepperell center south for about one mile there is the odor of raw sewage and I suspect it comes from some housing along the area. I hope something can be done about this soon." The trail is beautiful and so is the wild life. 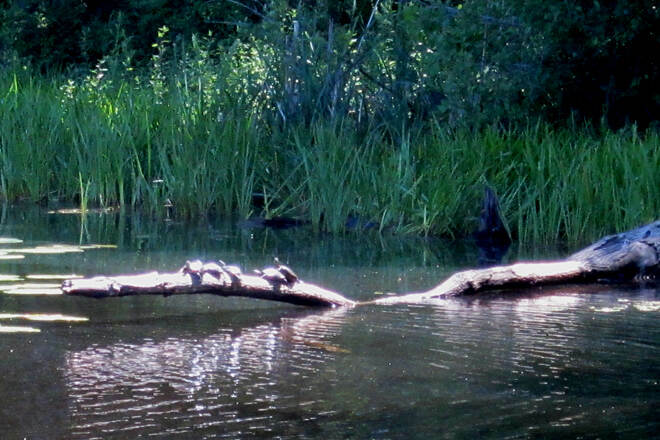 Turtles and a beaver lodge are just a few. The trail's a great way to spend an afternoon to get some exercise or just to relax! I have kick-biked the trail numerous times and ran out and back once. What a great place to train and have fun. It is a nice wide pathway. "Wonderful sights of nesting Ospreys, Blue Herons, a Beaver Lodge along the ride. There are many places to stop and eat and enjoy nature. 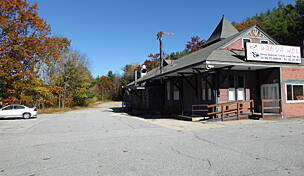 In Pepperell there is the Rail-Trail Ice Cream Shop." 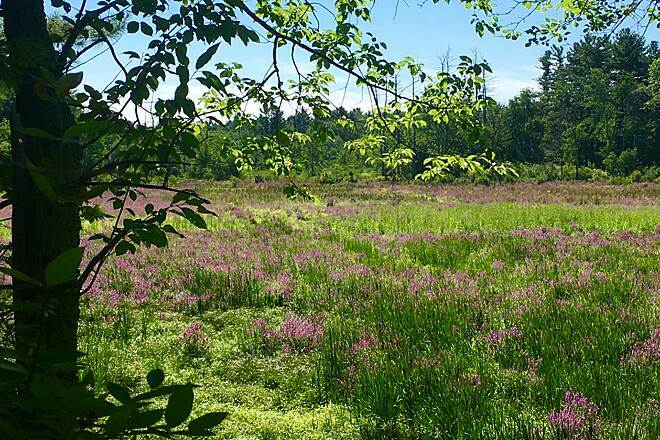 The best thing about this trail is that it goes through a beautiful wetland. Also, it doesn't have a whole heck of a lot of street crossings to interrupt you, and it has some longer stretches between street crossings that tend to get fewer people because of the distance. All in all a terrific trail!" 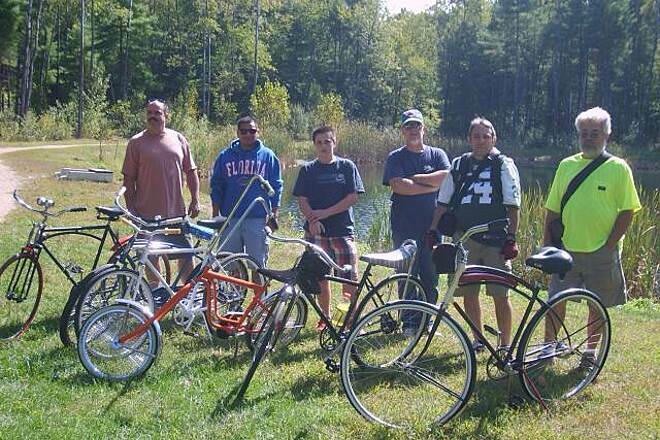 "I just got back from our first ride on the Nashua River Trail, and I must say I've never seen so many happy people. Everyone was smiling, saying ""Good morning"" and chatting up a storm. They have good reason to smile. This is a beautiful trail, with lovely stretches along the river and lots of woodland (much of the trail travels through State Forest land). At one point we saw a fox dart across the trail. All in all, a thoroughly enjoyable ride." Great location for a very easy and scenic ride through woods. The pavement is shaded by the trees making the ride comfortable even on the hottest days. The stop signs along the way are well marked when you come to a street crossing. I would recommend this trail to anyone and their families. 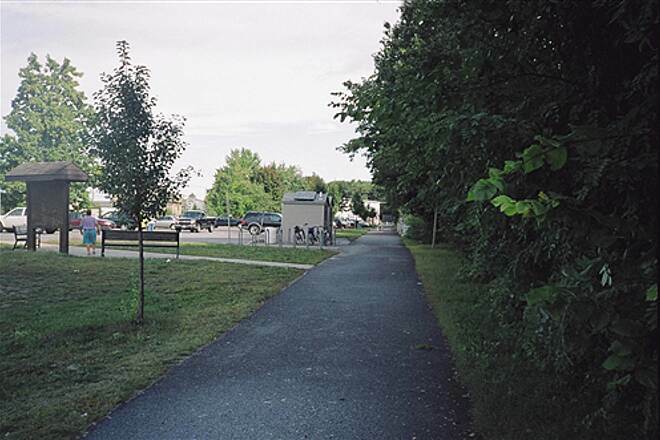 "The full length of the Nashua River Rail Trail is now paved all the way from Ayer to Dunstable next to the NH state line on Hollis Street where a new parking area has been added. 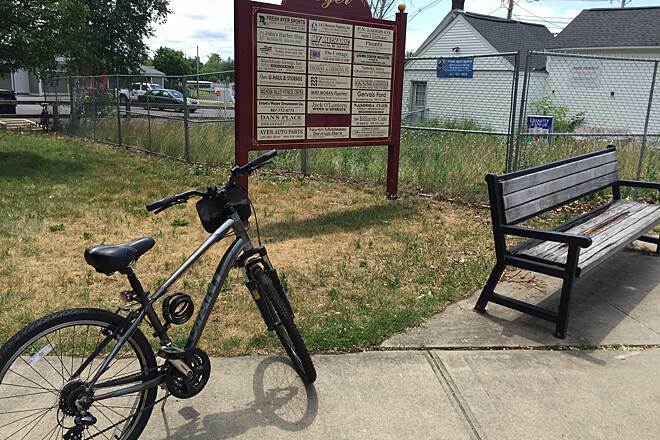 The downtown Groton and Pepperell sections are quite busy with bikes (including some local police patrolling on bike), rollerblades, parents with strollers, hikers and the occasional horse and rider." "I'm excited about this trail, mostly because it starts and ends a mile away form my house. I saw a deer yesterday right at the Hollis line as I was showing it to someone else. The trail is smooth as glass and has almost no hills the entire way. There are some great mountain biking trails to the right or left at different parts of the trail that tend to reconnect to the trail at later points. 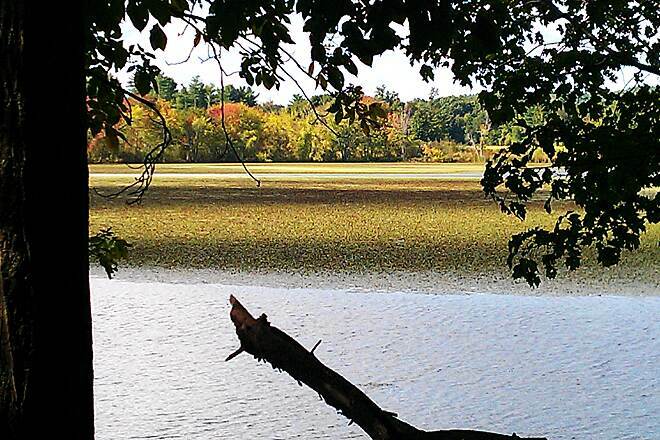 You may be lucky and catch the beaver swimming about in a nearby swamp in the town of Groton. I also saw 2 wild turkeys early one morning. Roux's Market in Ayer offers 25 cent Ice Cream and is a great place to catch a snack. The Bike Shop has two stores right off of the trail in Ayer and Pepperel if you need to pick up some emergency equipment."